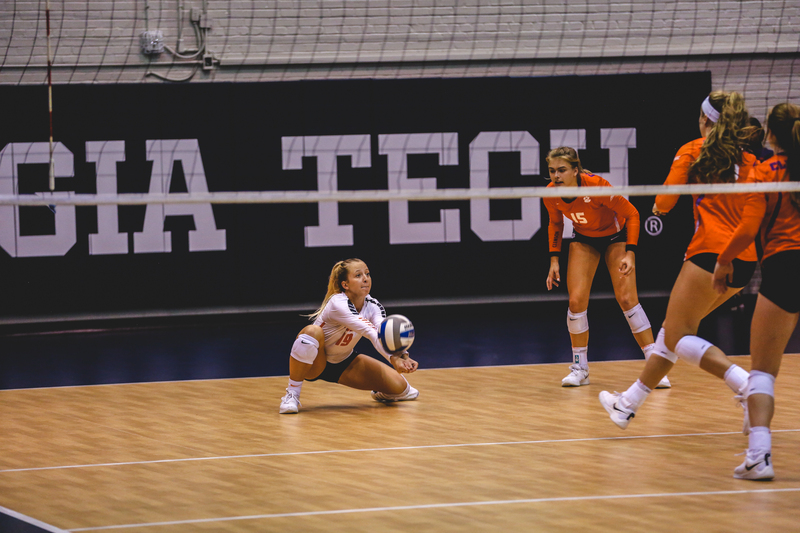 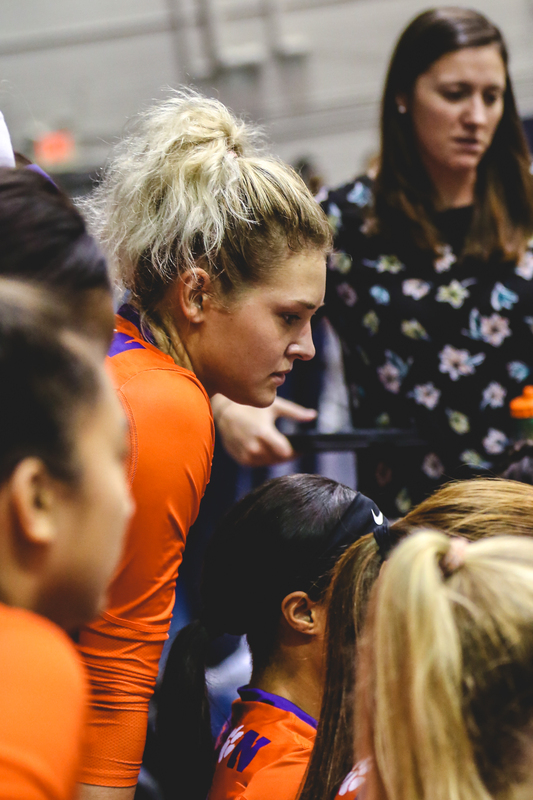 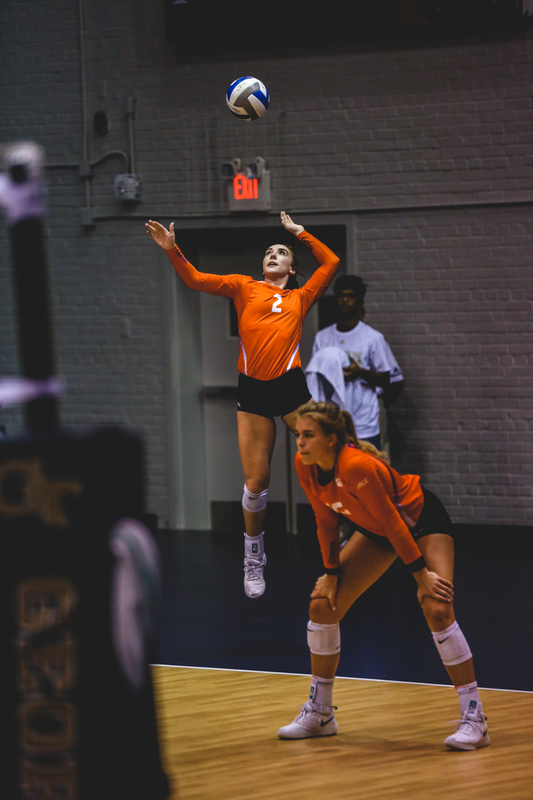 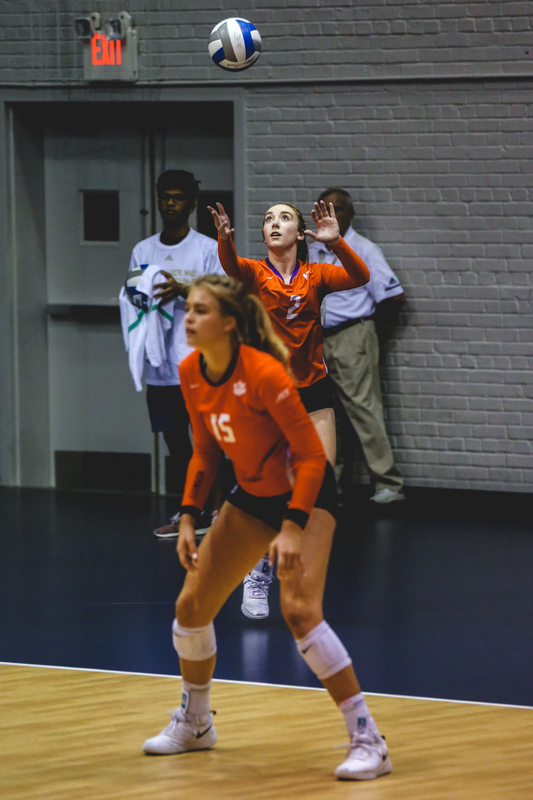 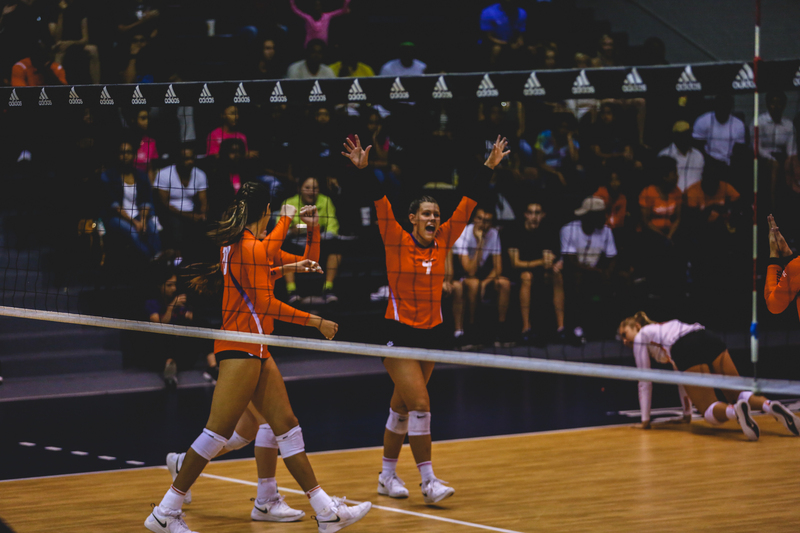 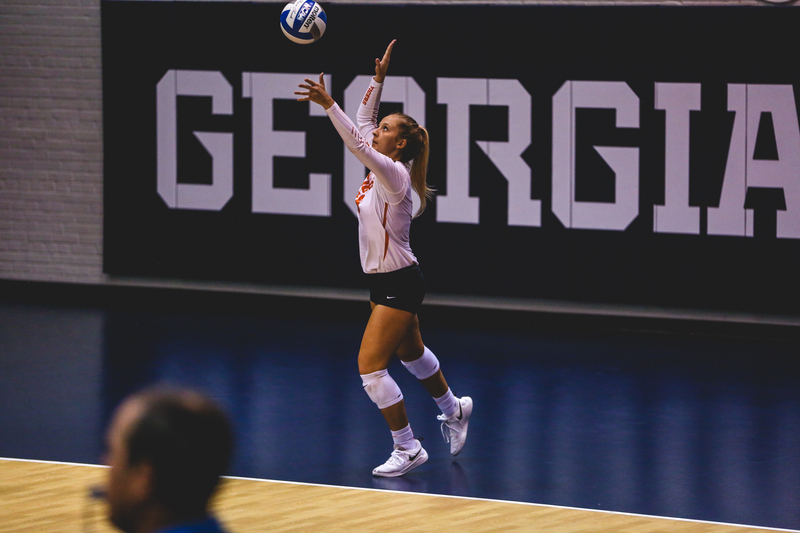 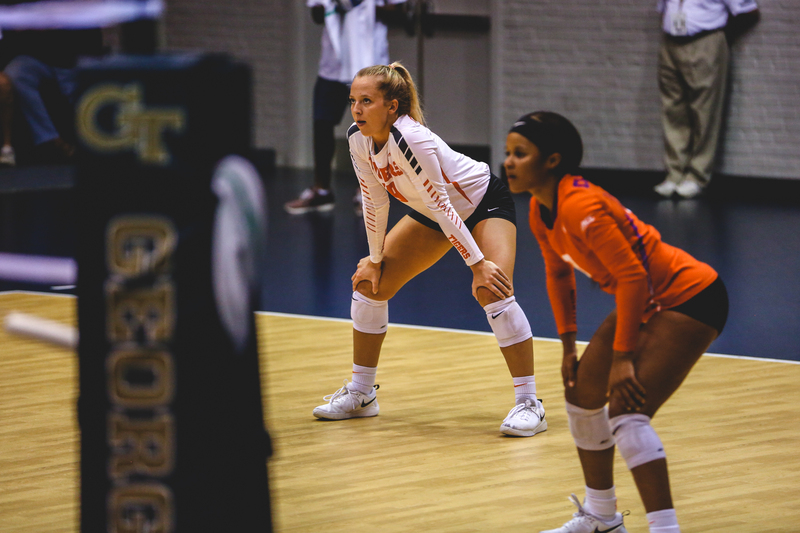 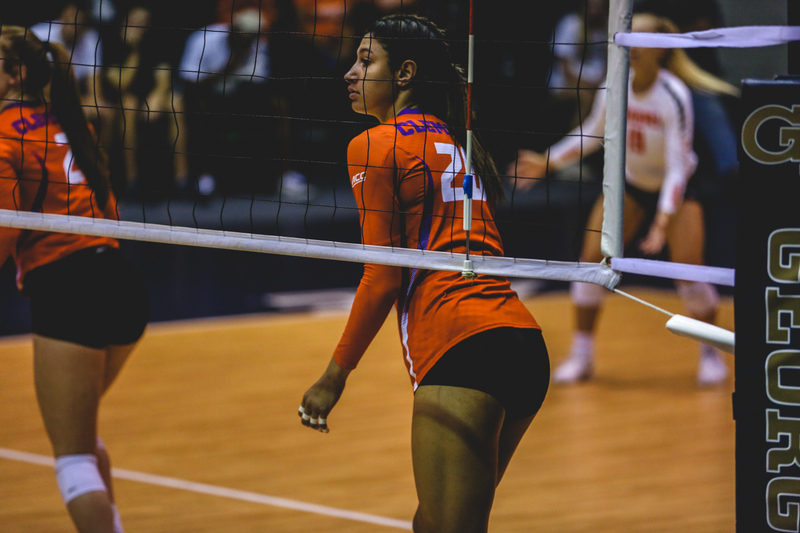 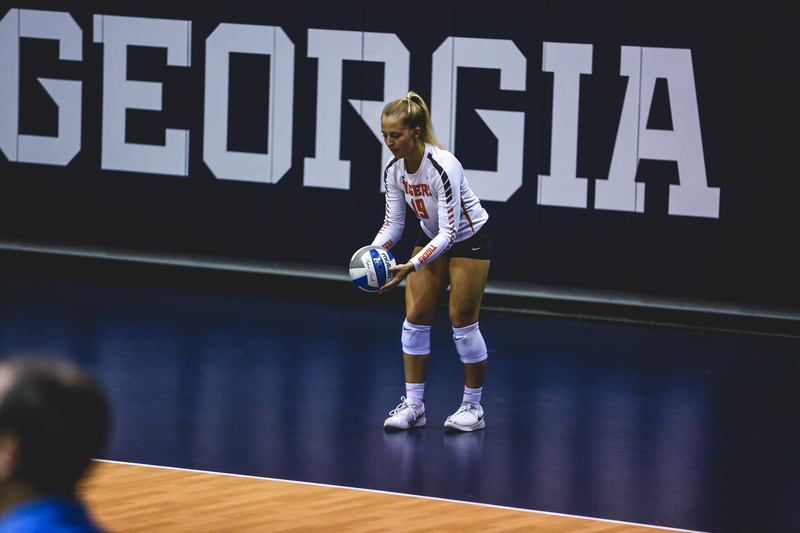 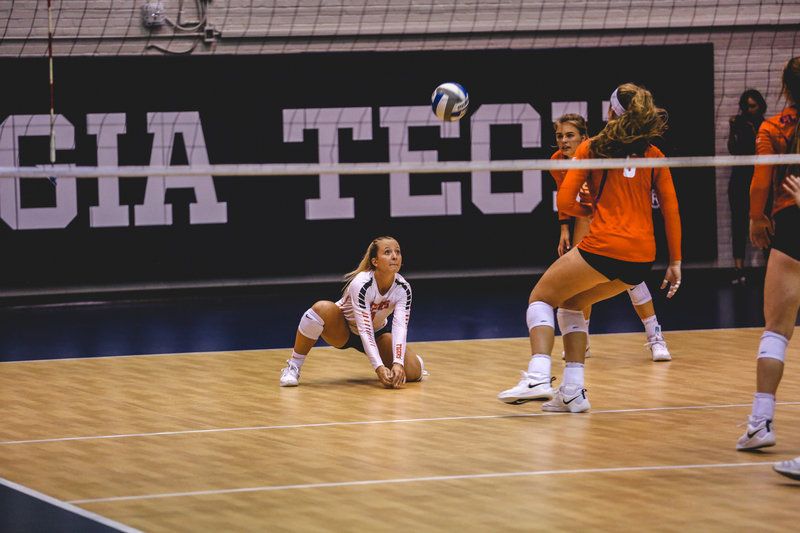 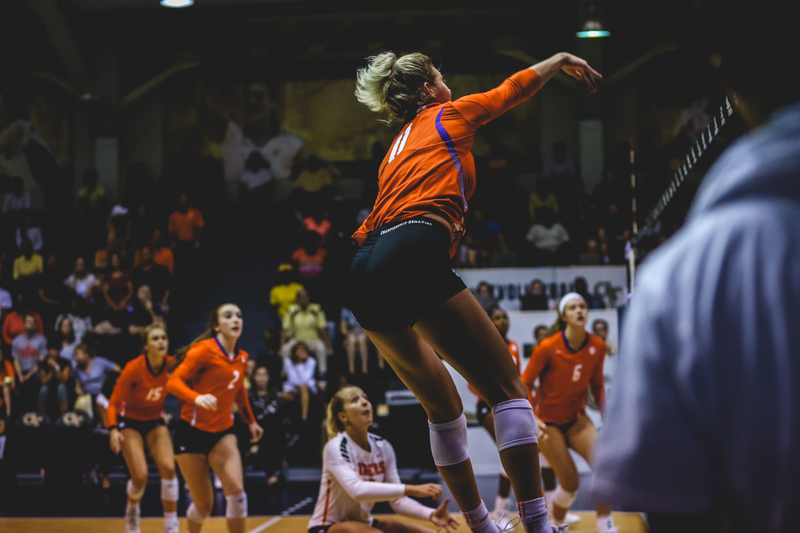 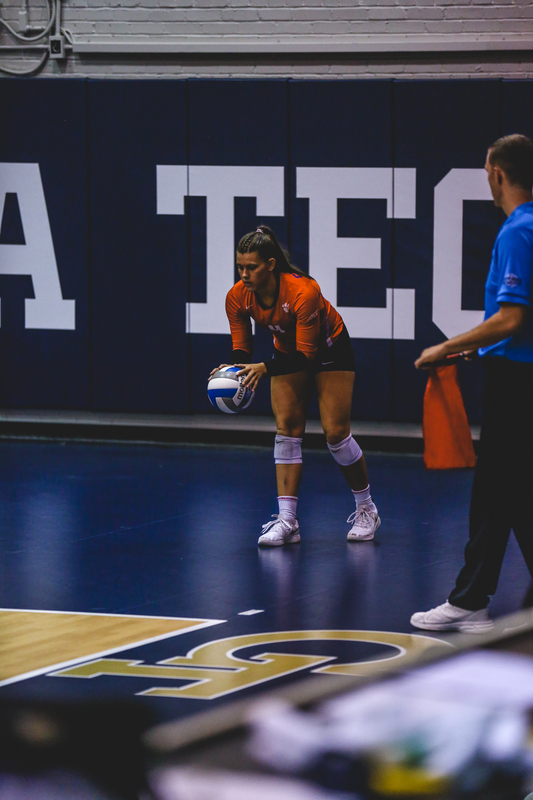 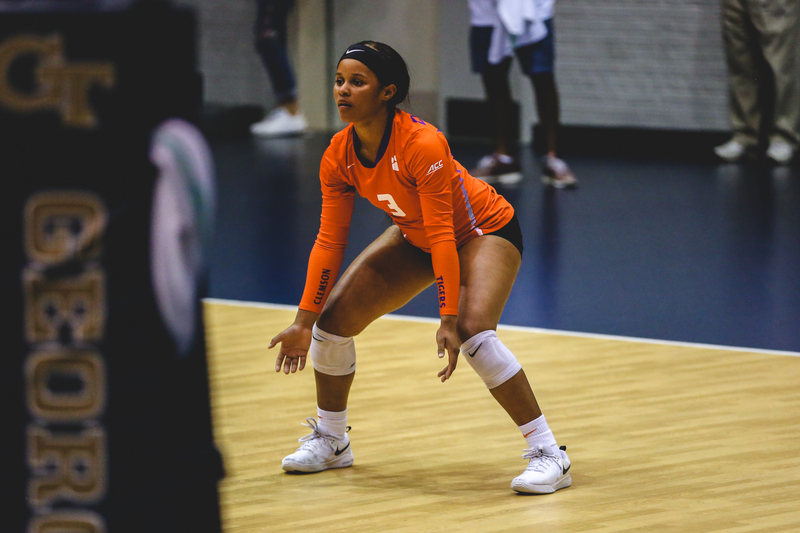 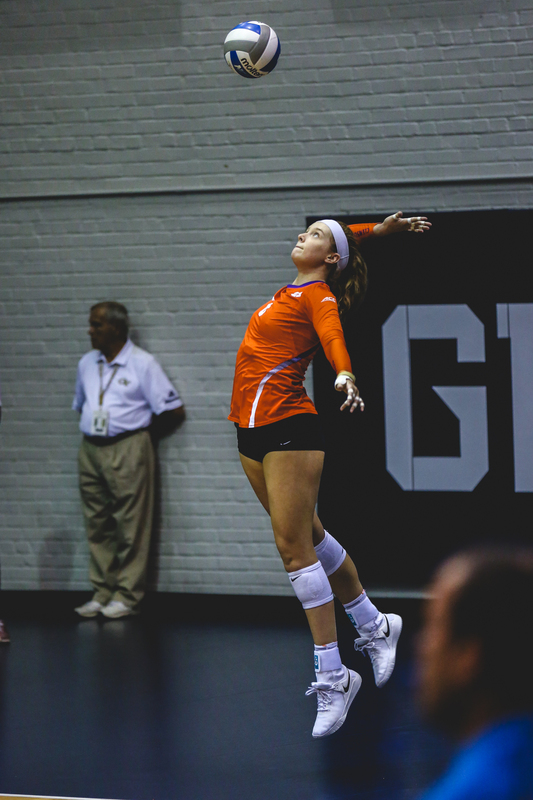 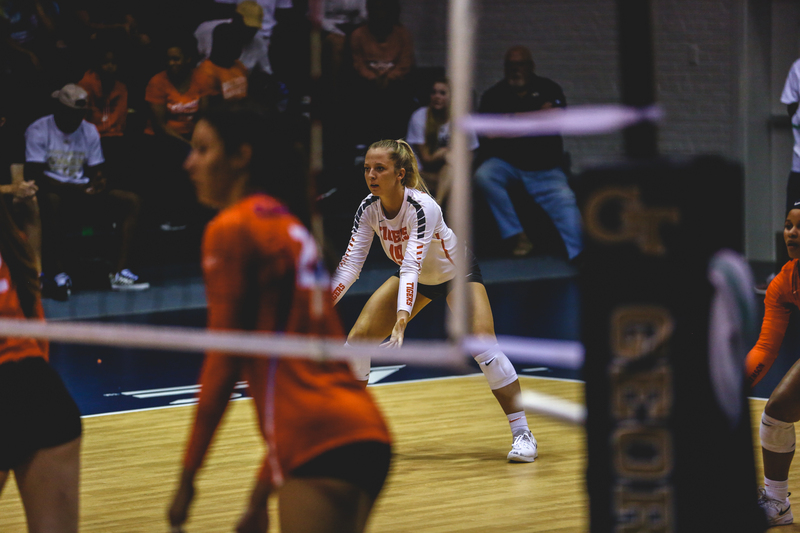 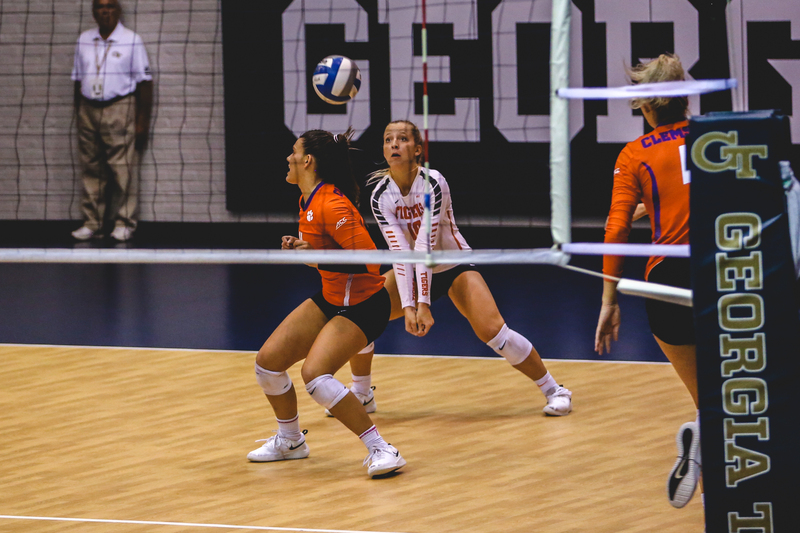 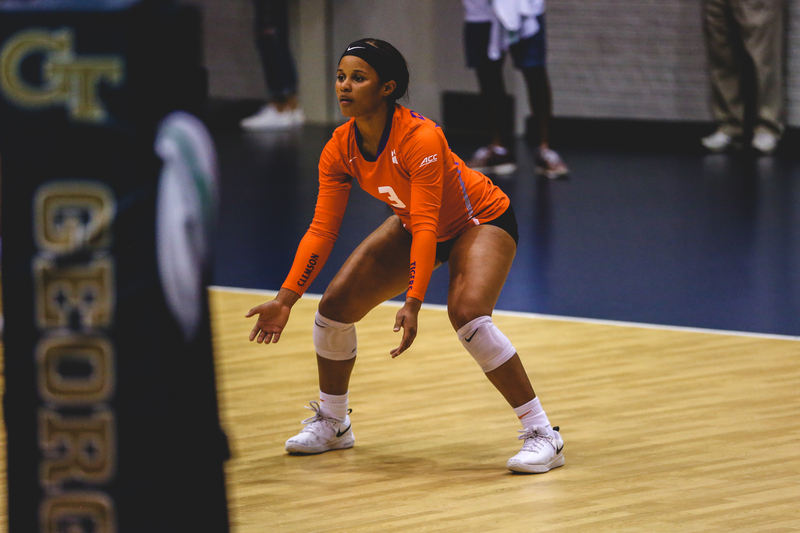 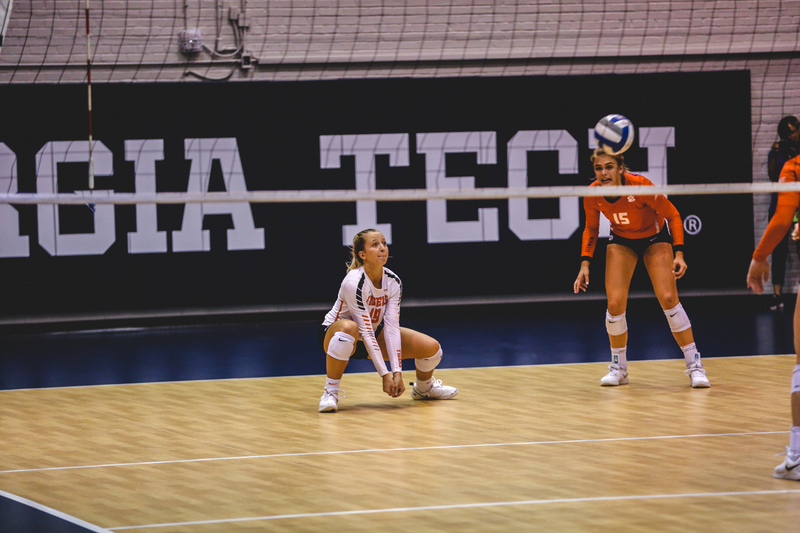 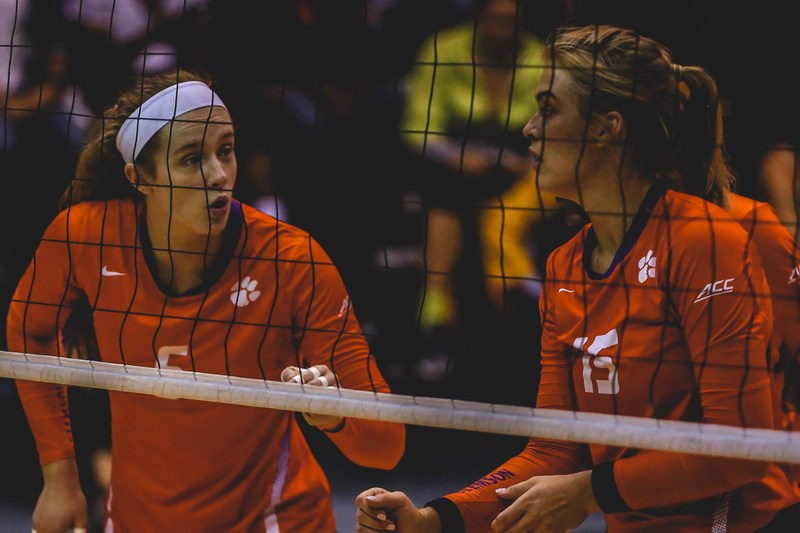 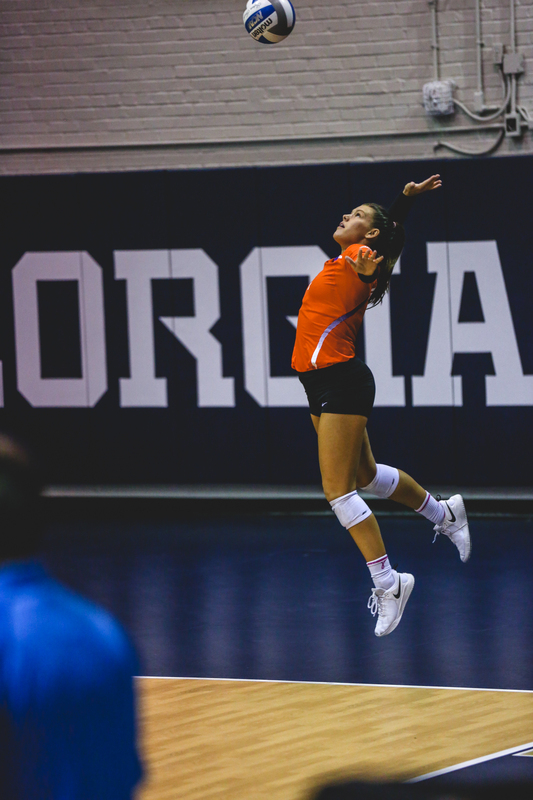 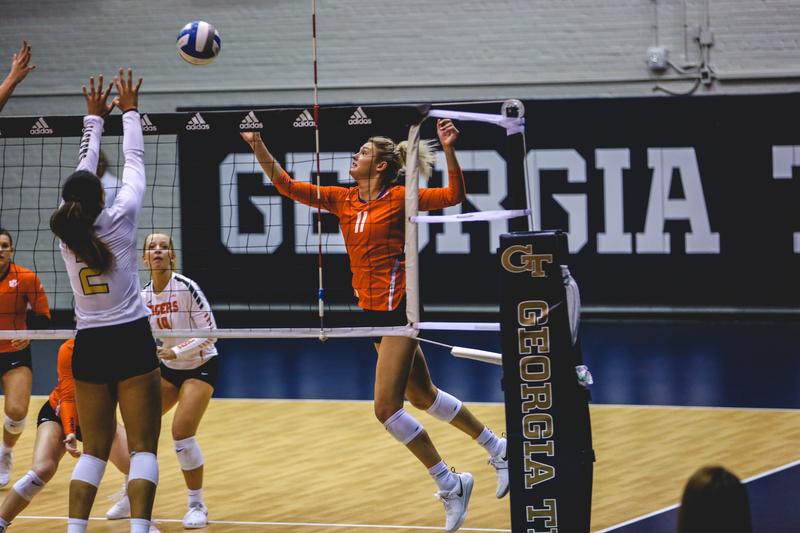 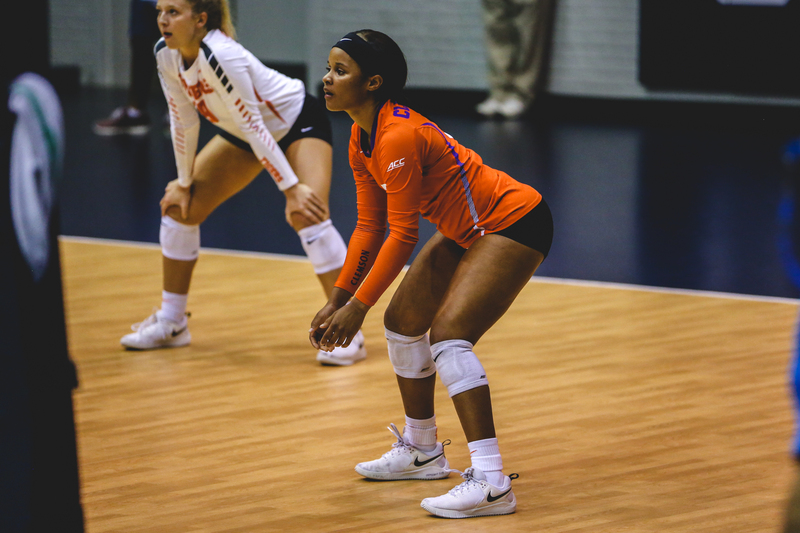 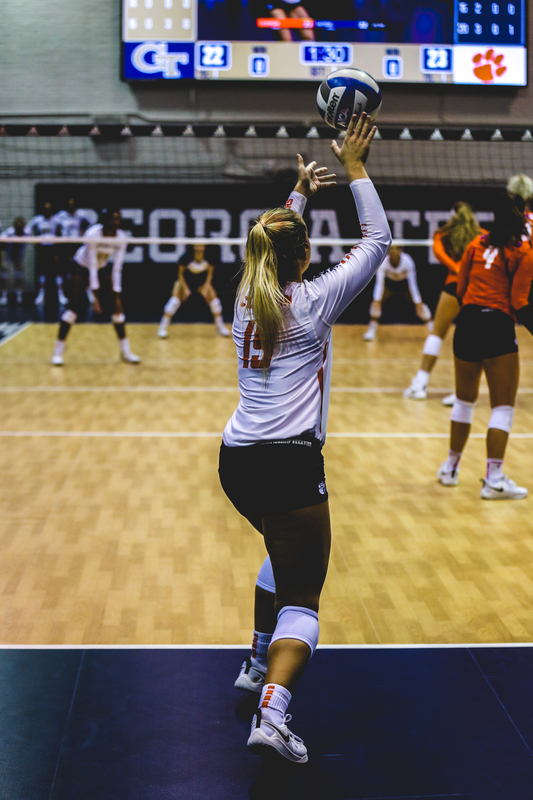 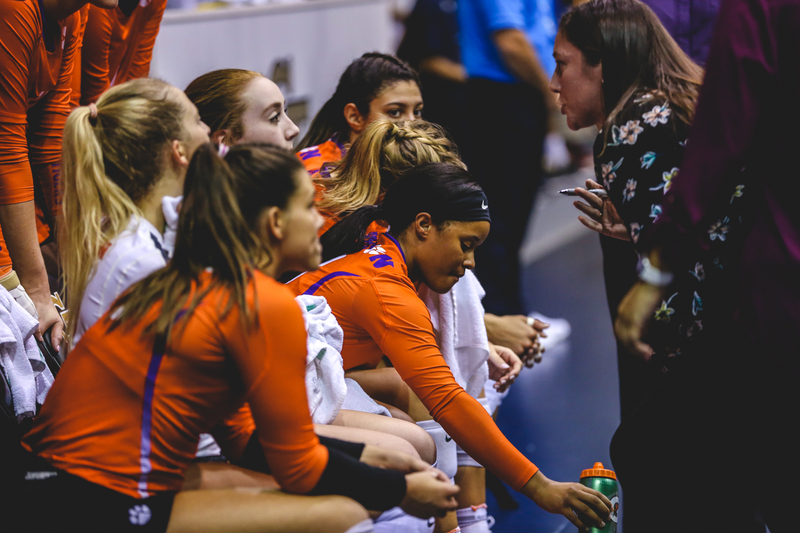 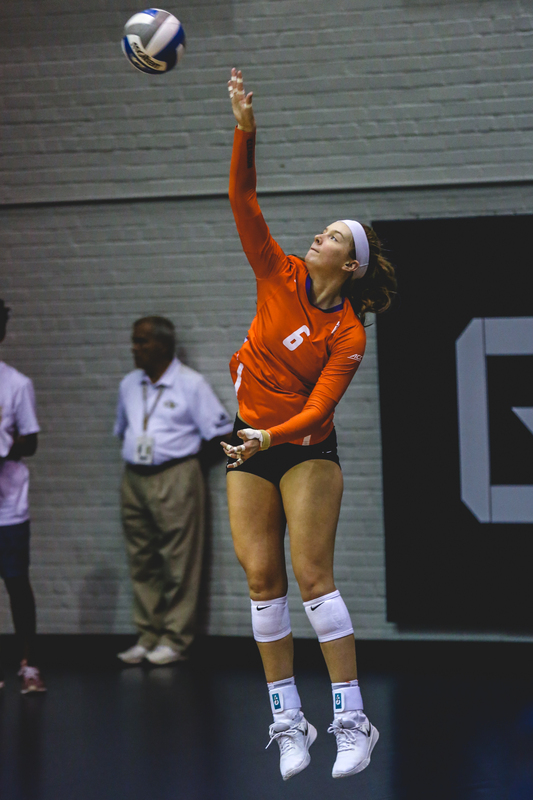 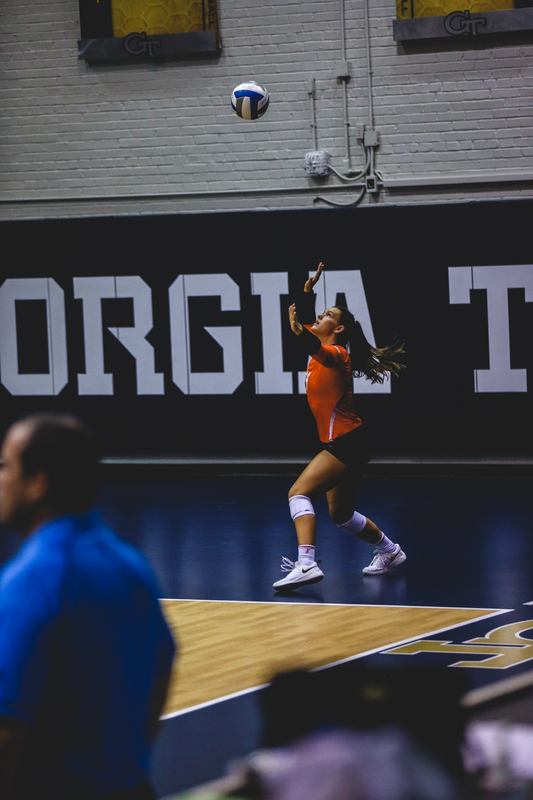 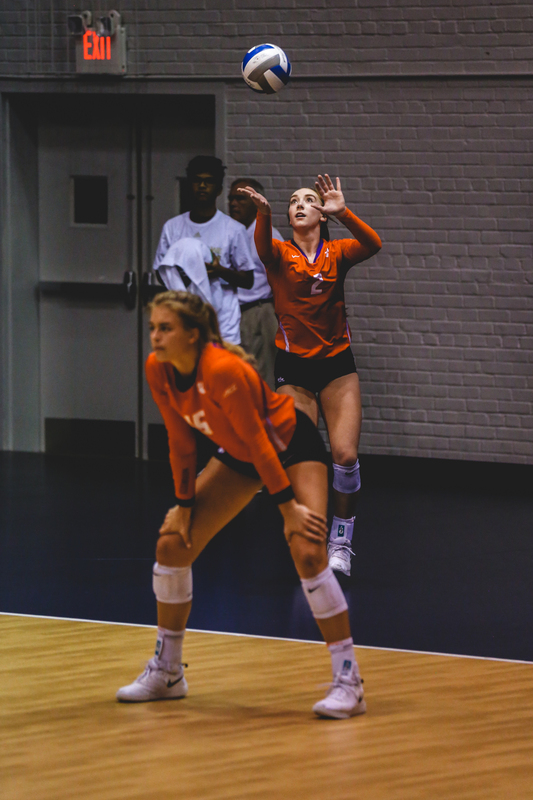 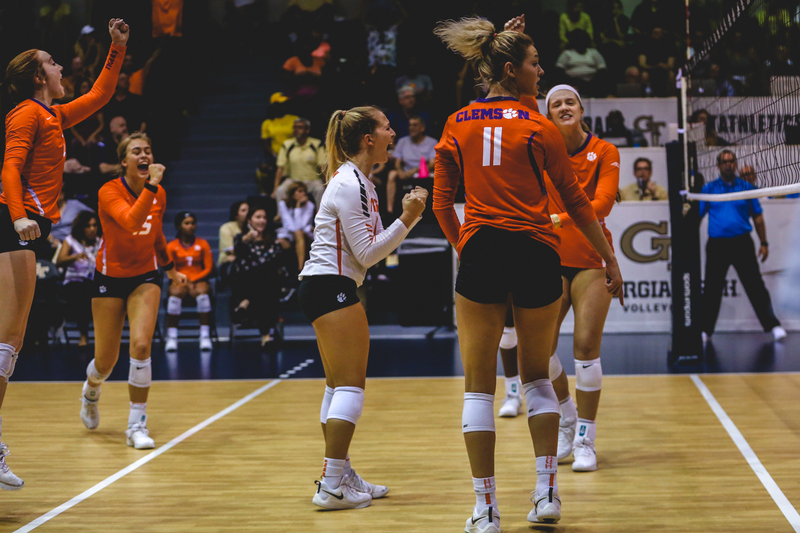 ATLANTA – Clemson redshirt-sophomore Brooke Bailey registered 16 kills, tying her career high for the third time this season, in the Tigers’ 3-2 loss (26-24, 26-28, 25-17, 12-25, 8-15) at Georgia Tech Wednesday night in O’Keefe Gym. 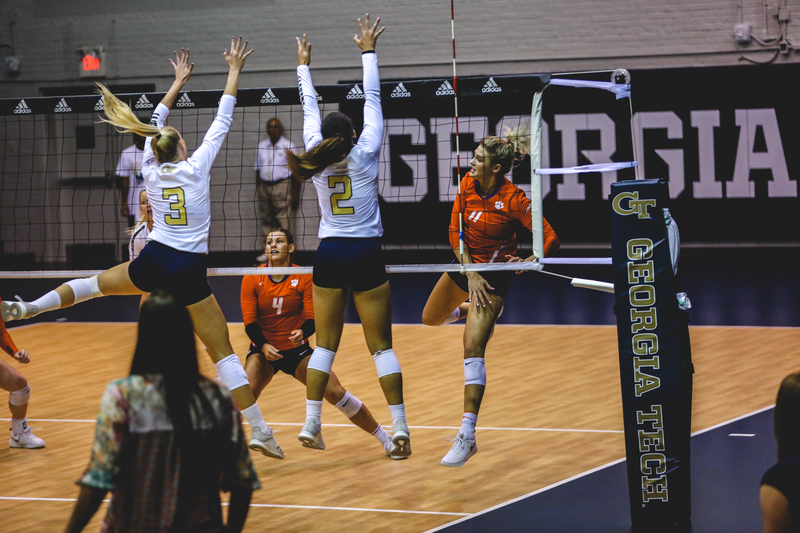 With the loss Clemson slips to 9-9 overall and 0-5 in ACC play, while the Yellow Jackets improve to 12-6 overall and 1-4 in conference matchups. 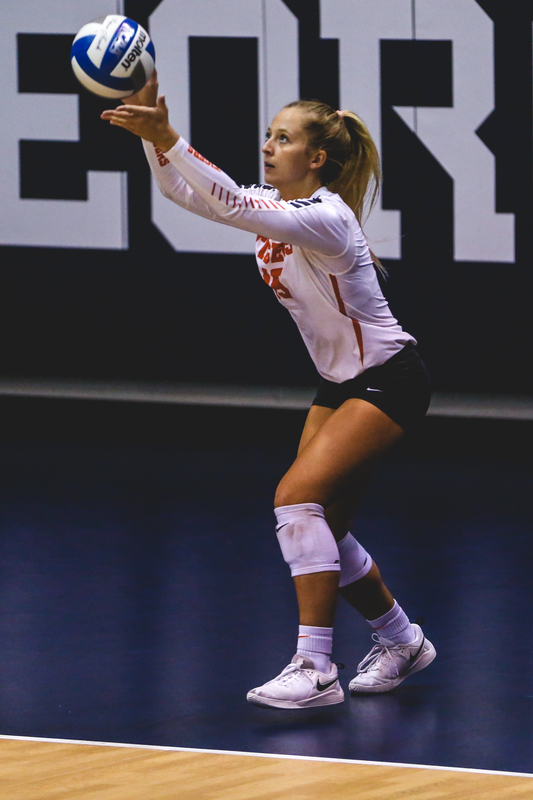 Additionally, freshman Ashtynne Alberts notched her sixth double-double of the season, totaling 14 kills and 10 digs, along with 2.0 blocks. 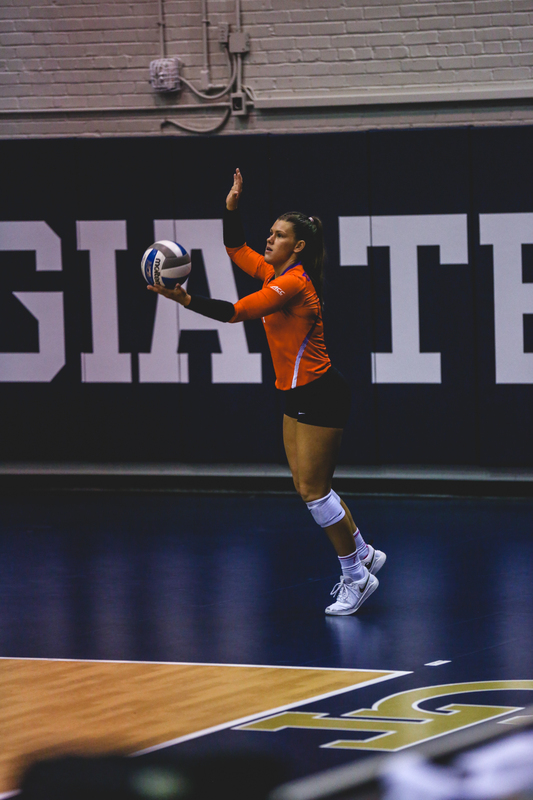 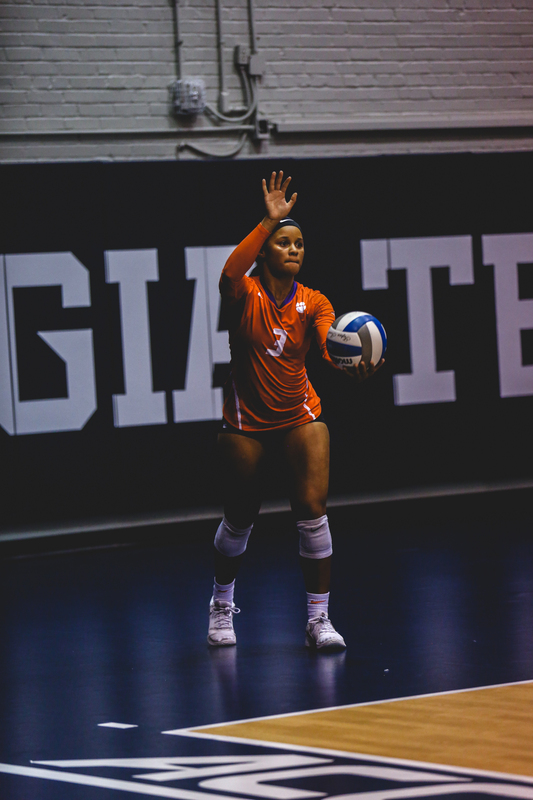 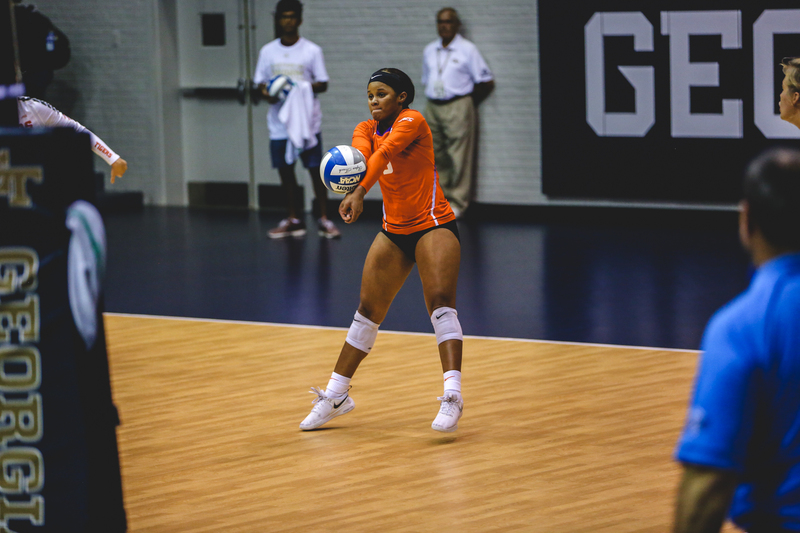 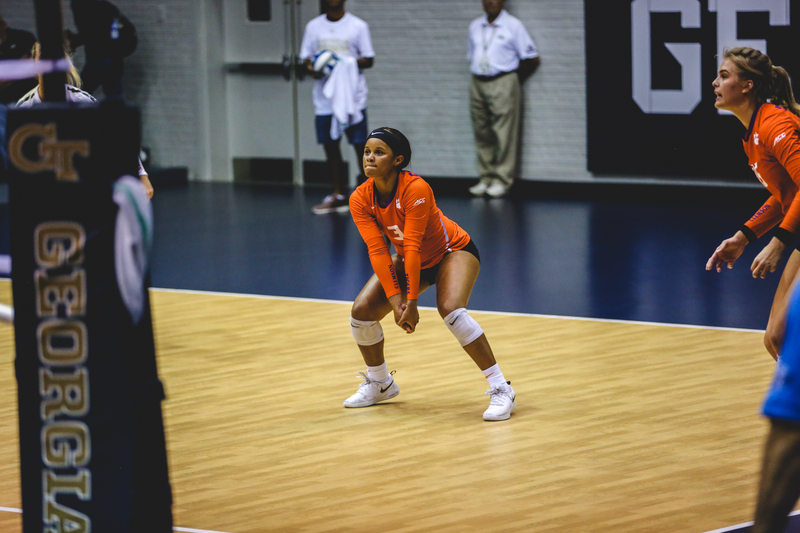 Freshman setter Gabby Easton dimed 49 assists and recorded four digs and 3.0 blocks. 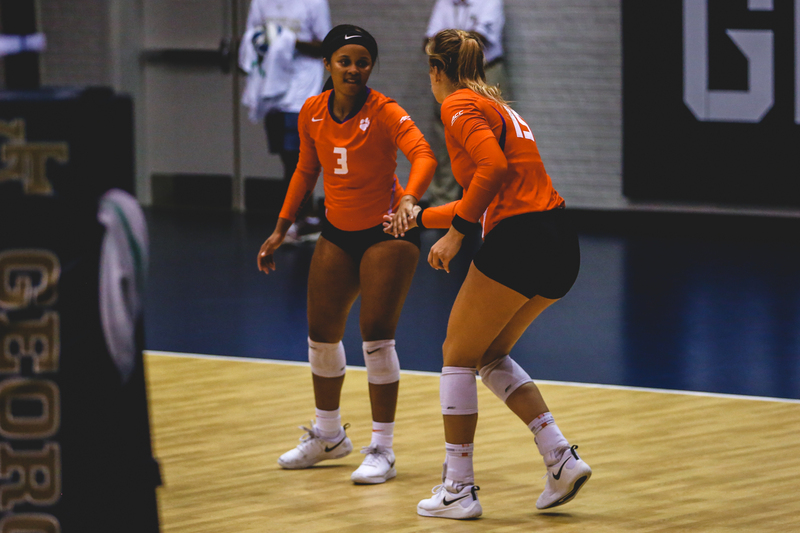 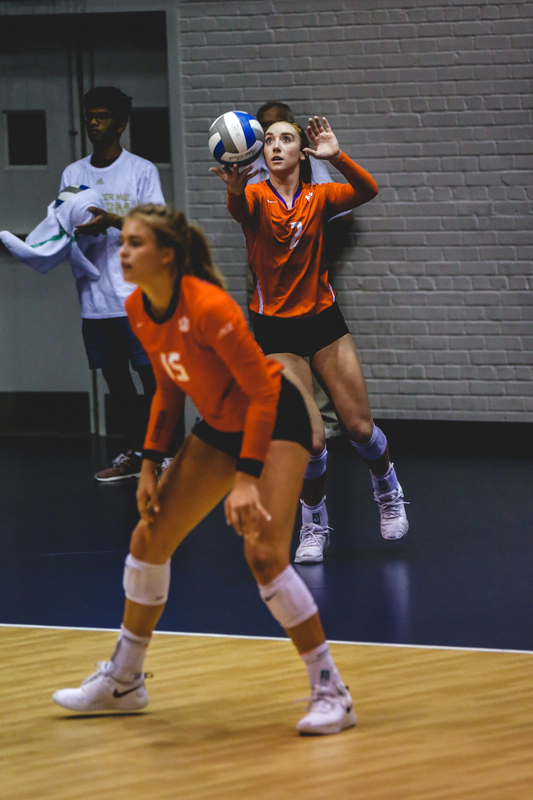 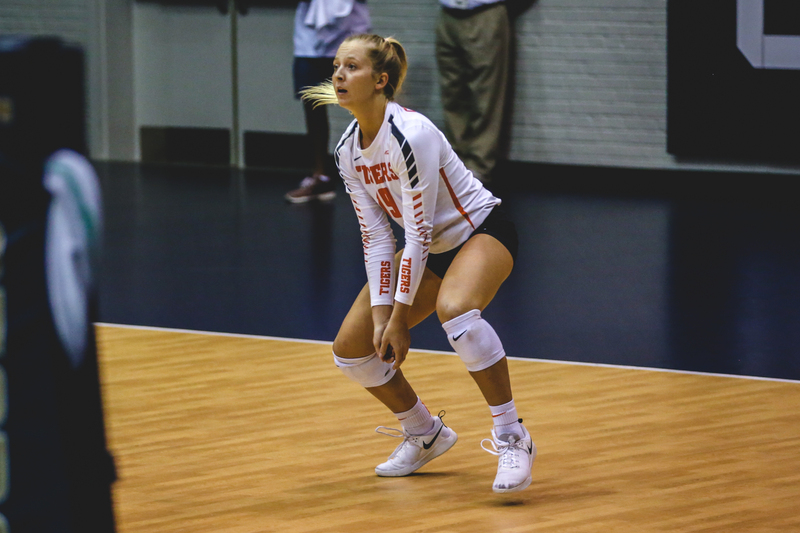 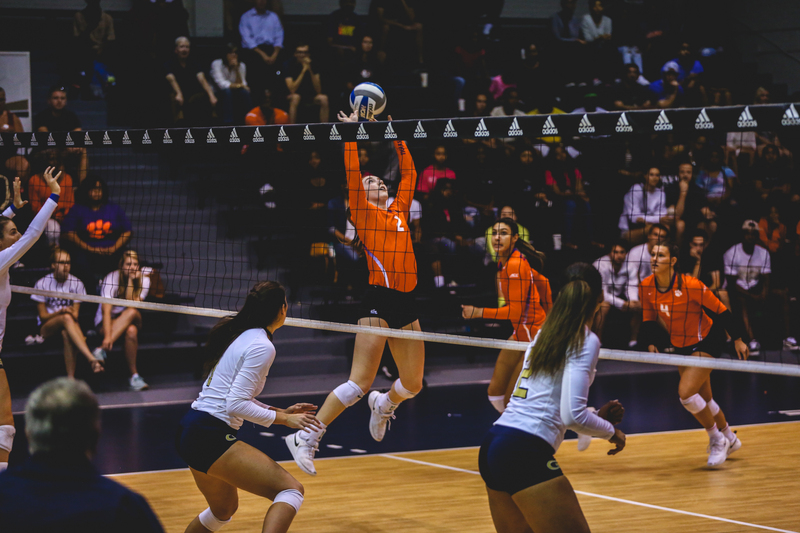 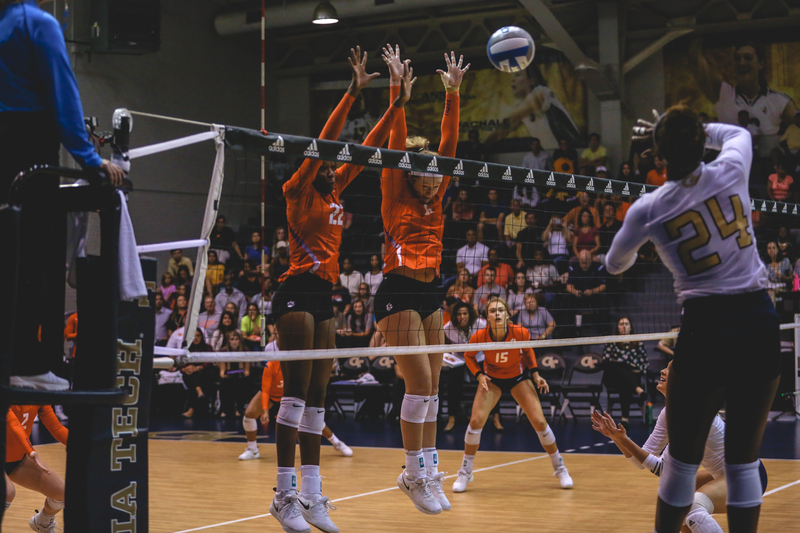 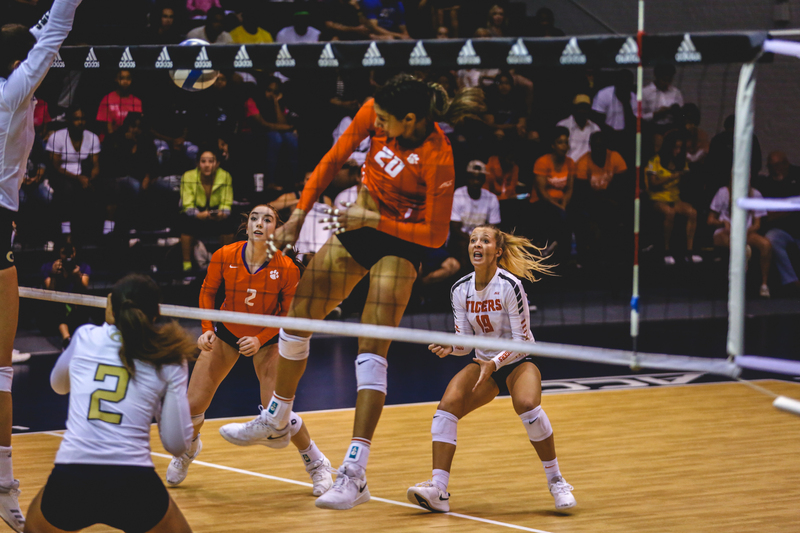 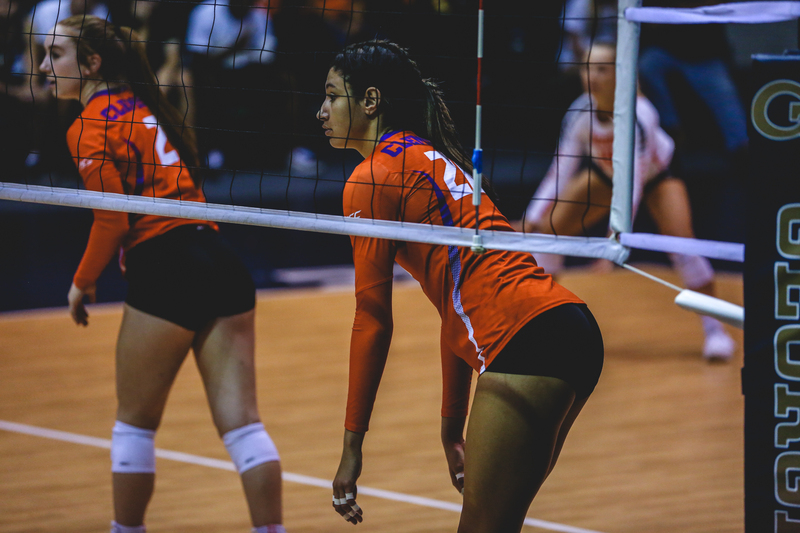 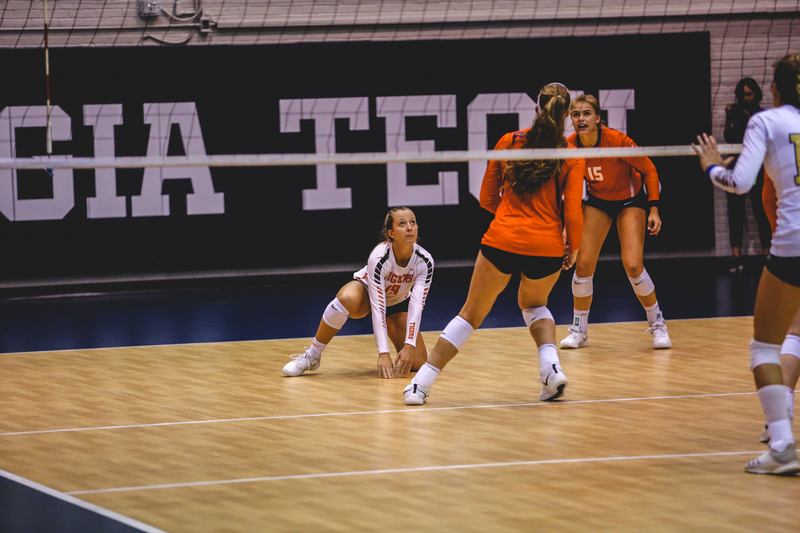 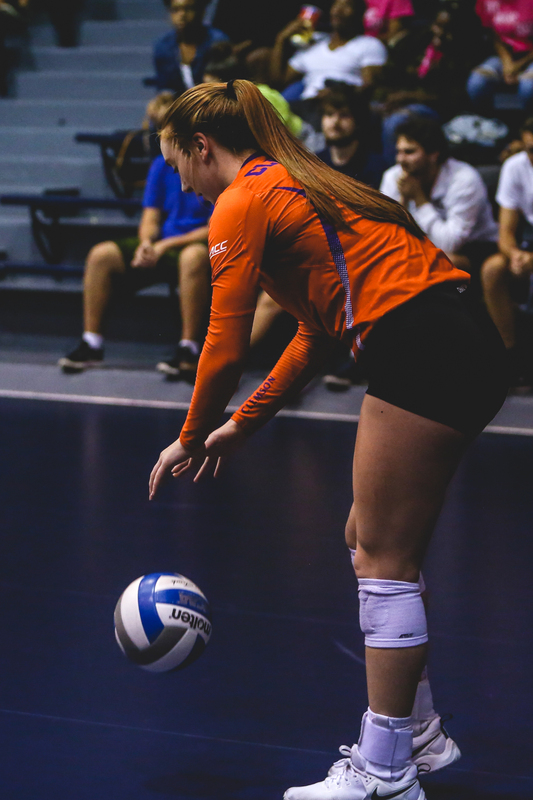 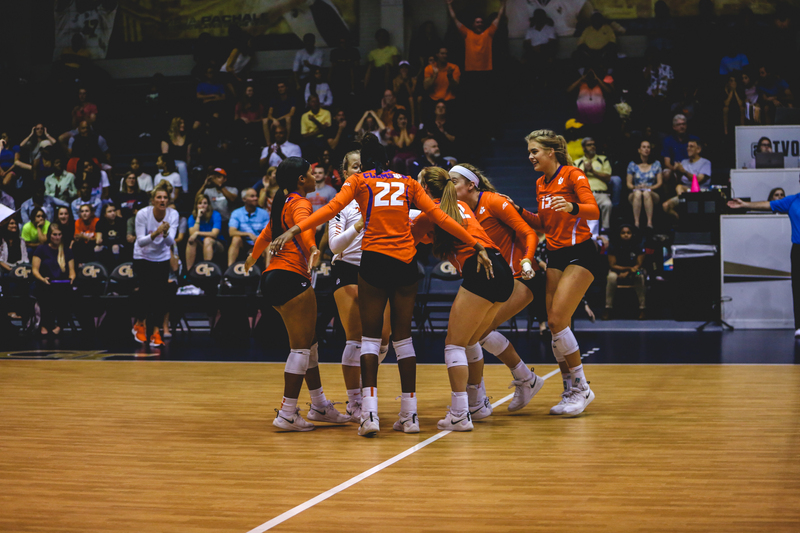 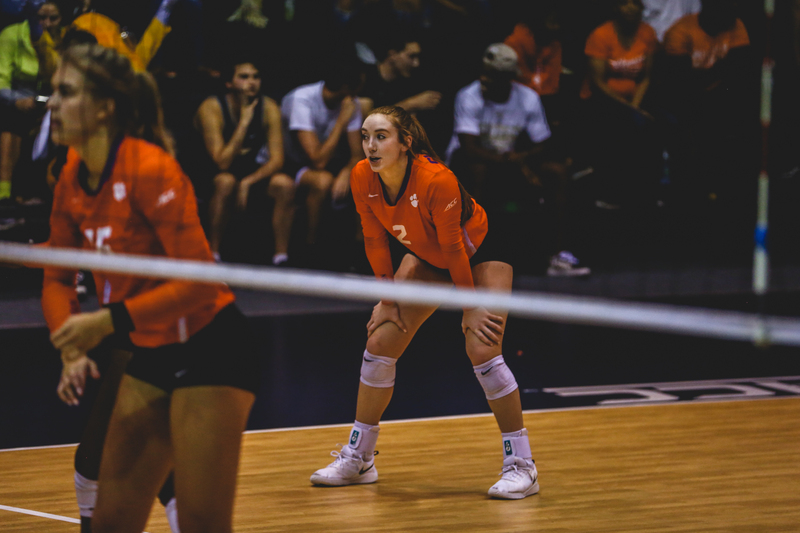 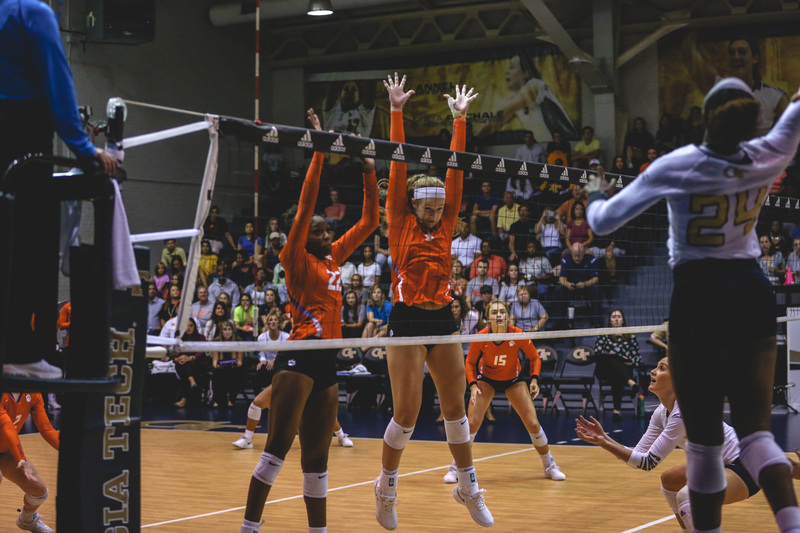 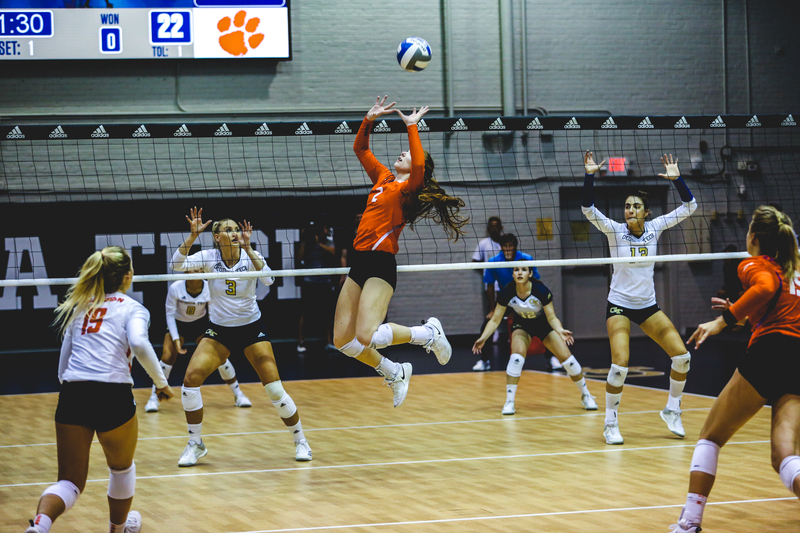 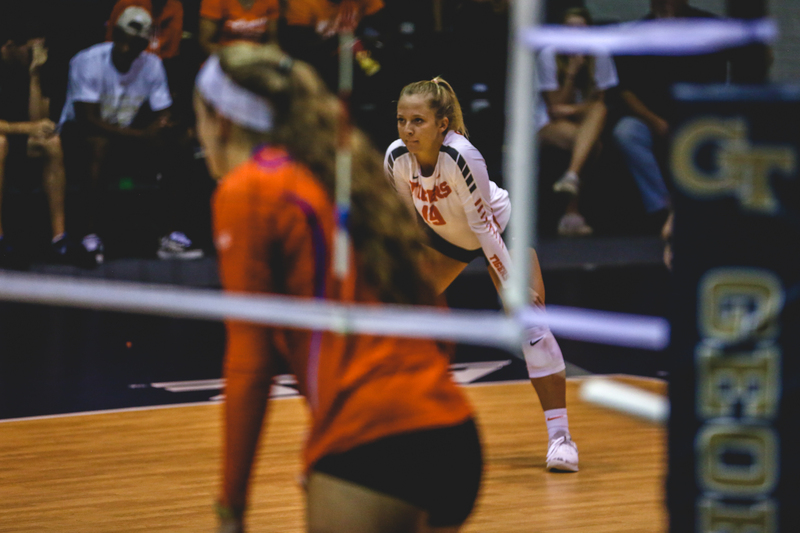 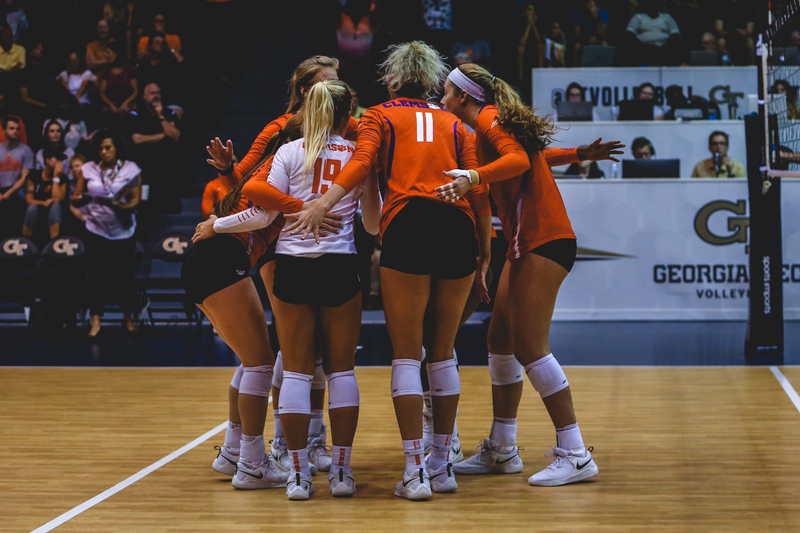 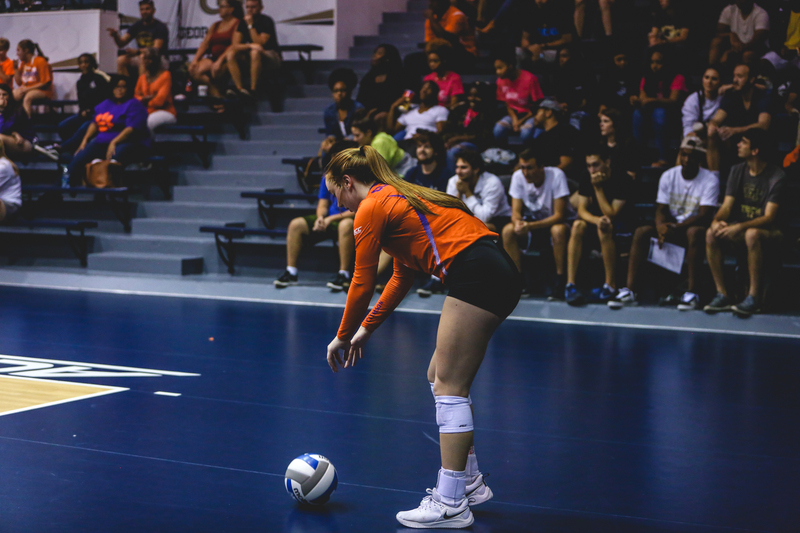 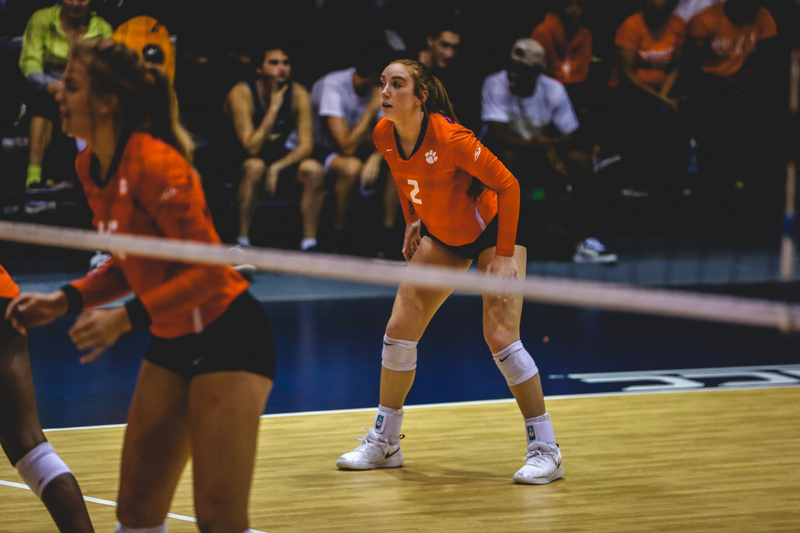 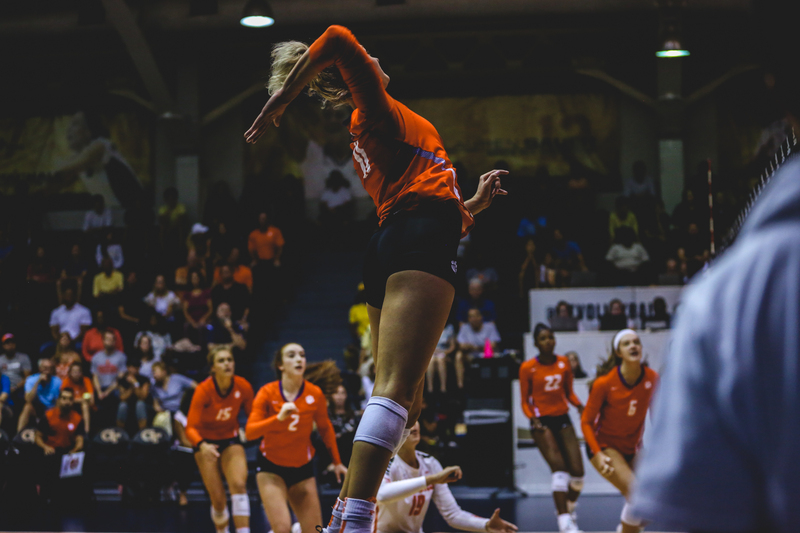 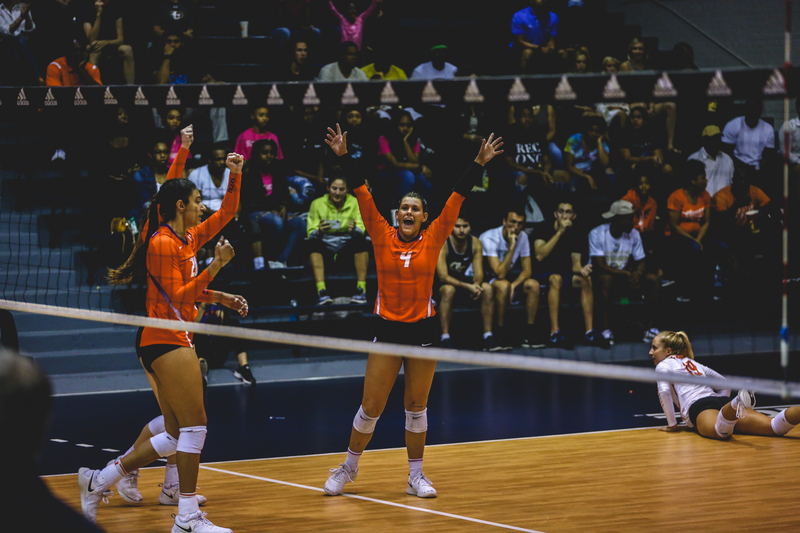 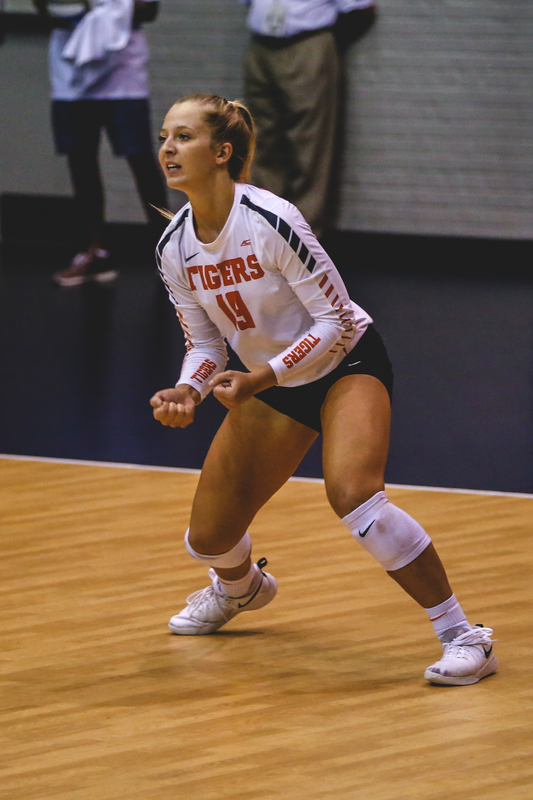 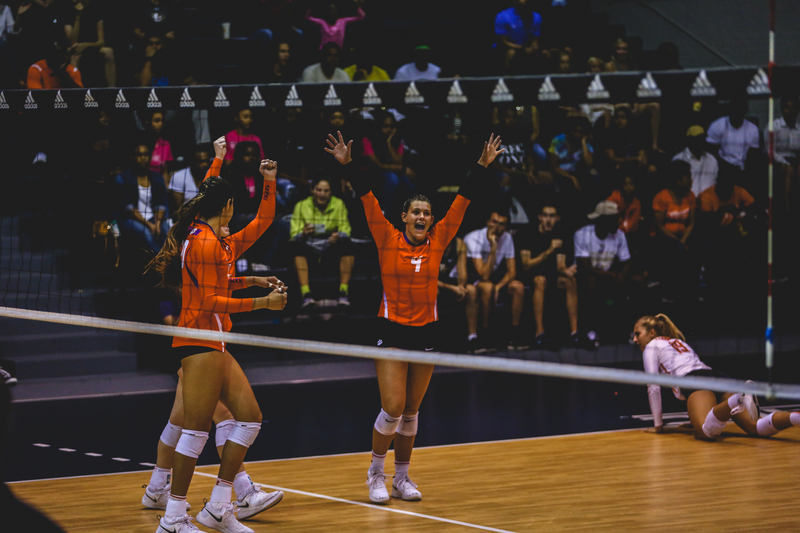 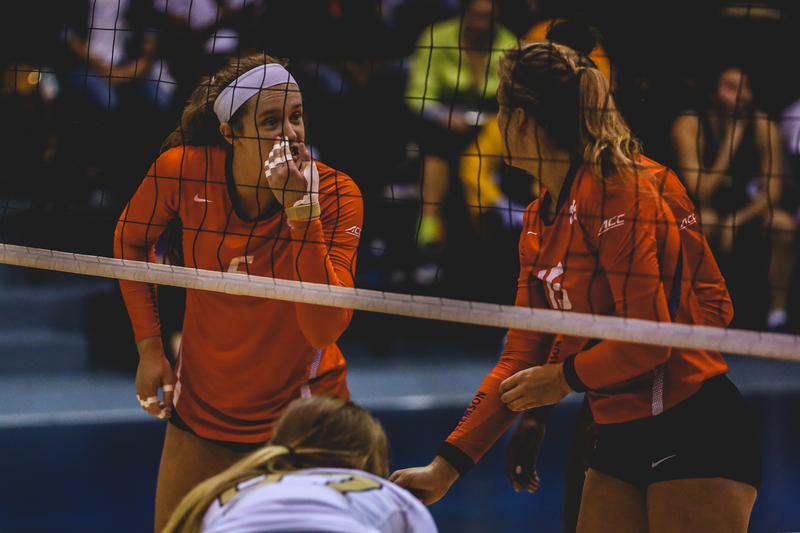 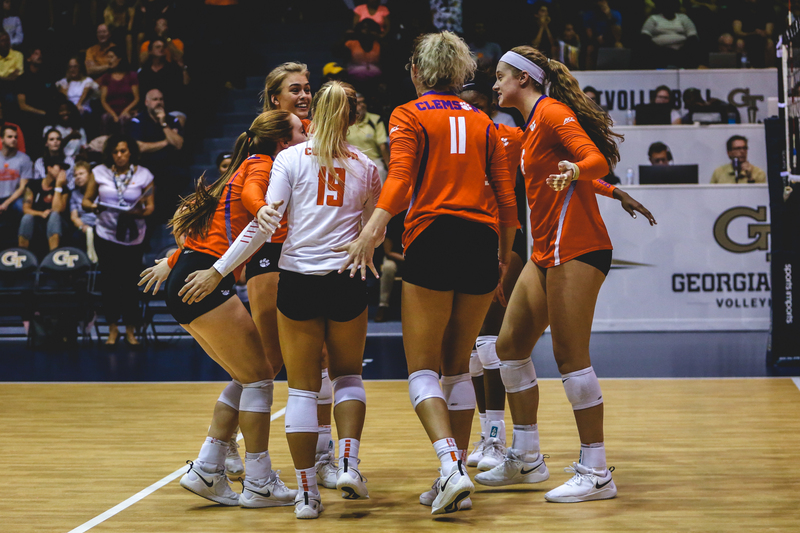 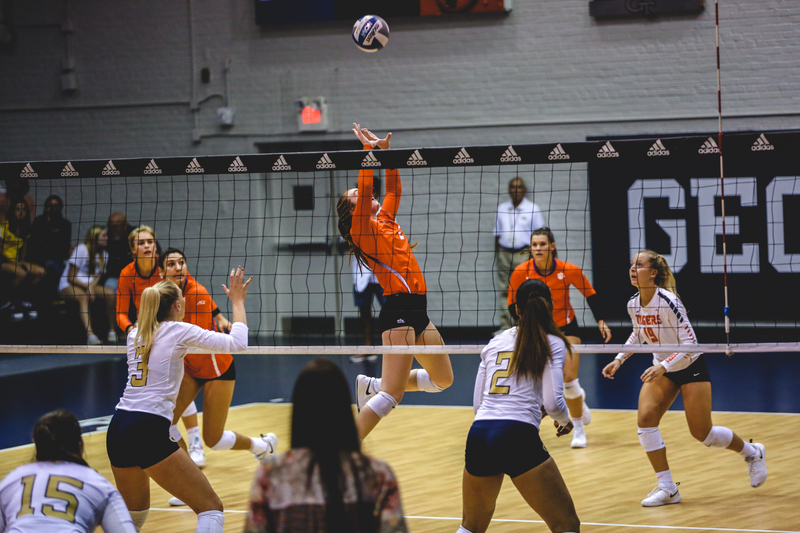 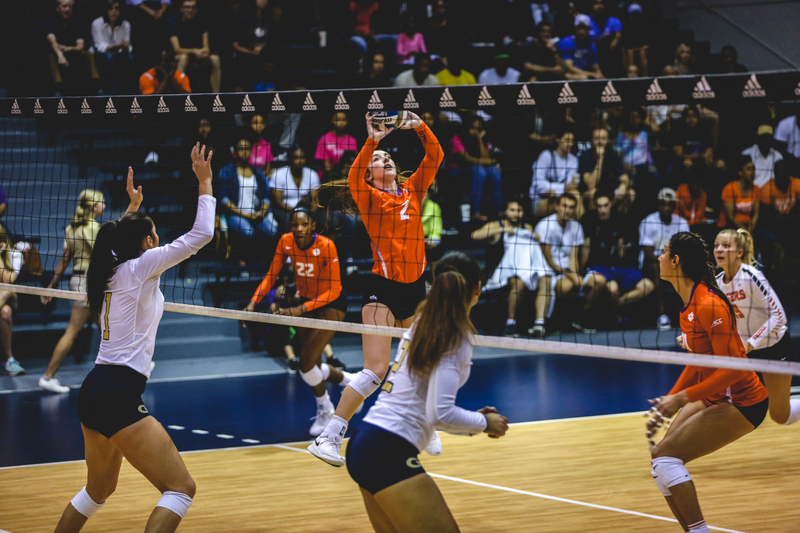 Freshman middle blocker Ava Pritchard picked up where she left off from Sunday’s match against Louisville, posting eight kills and a match-high 4.0 blocks up front for the Tigers. 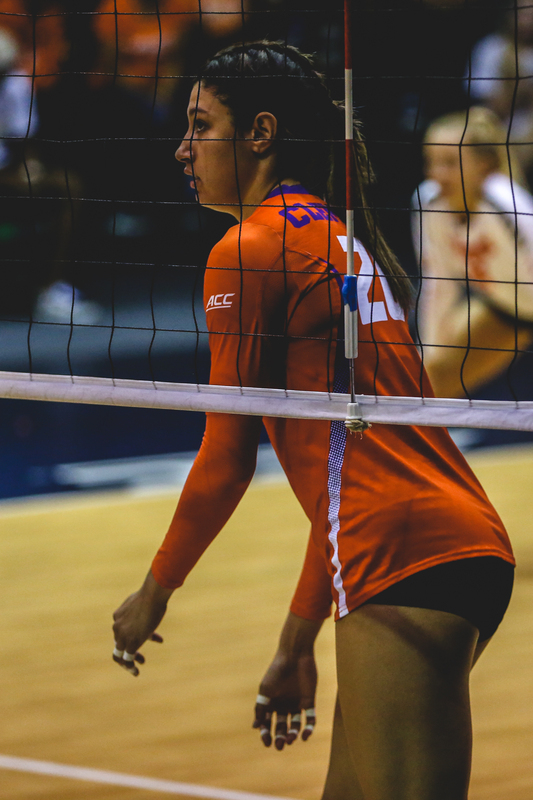 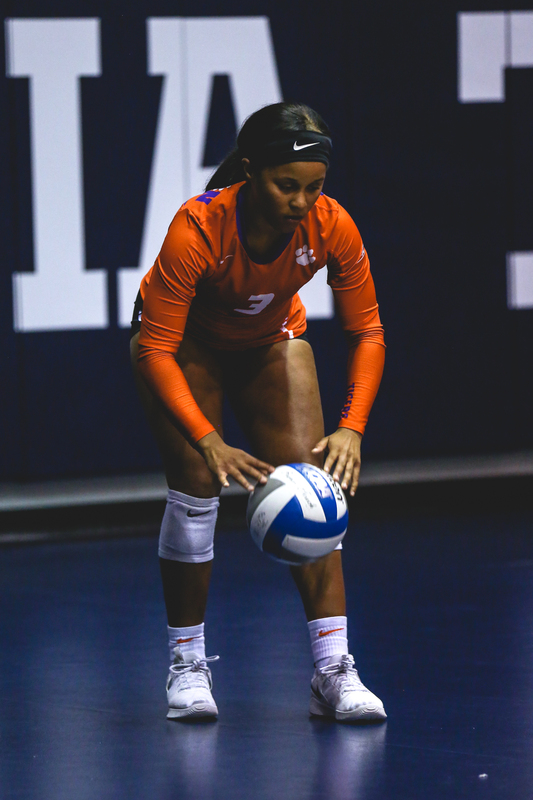 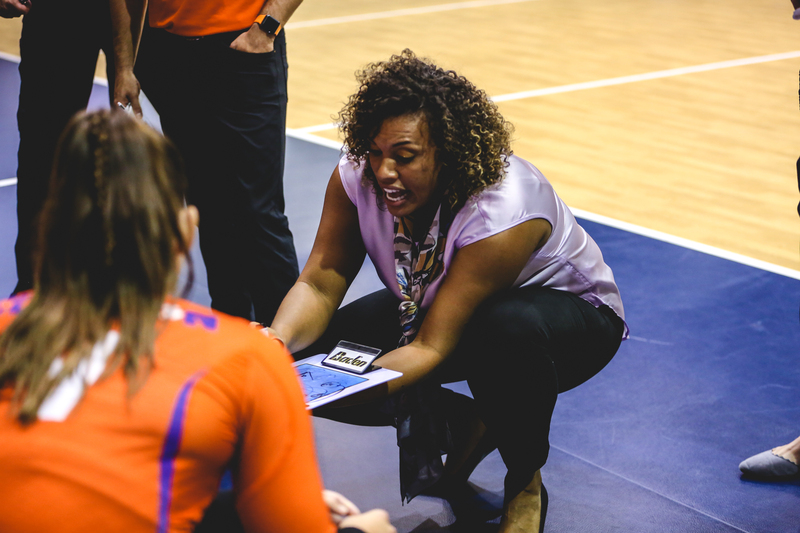 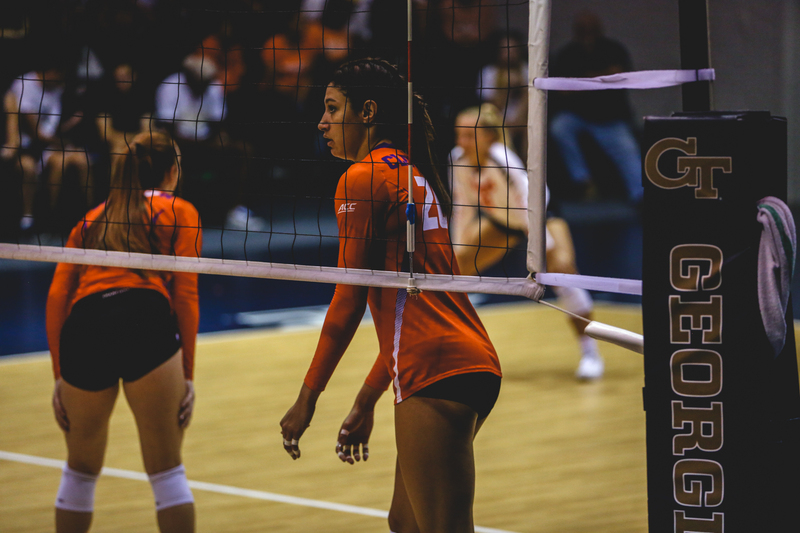 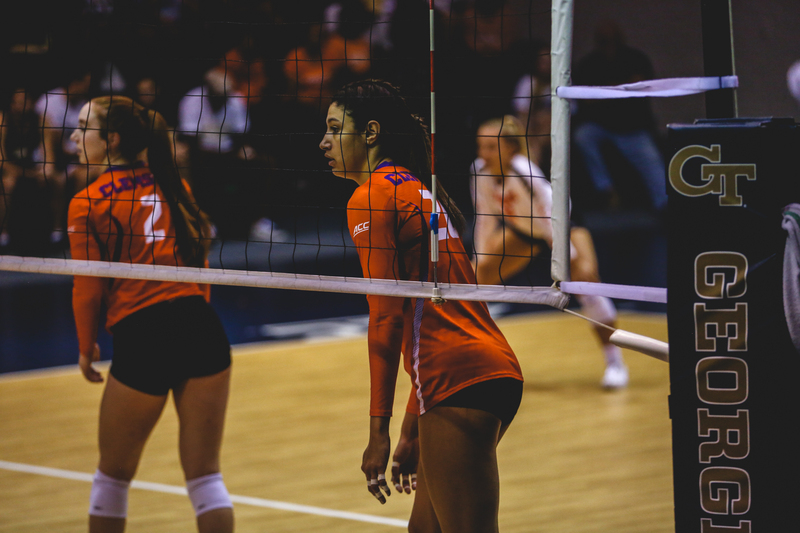 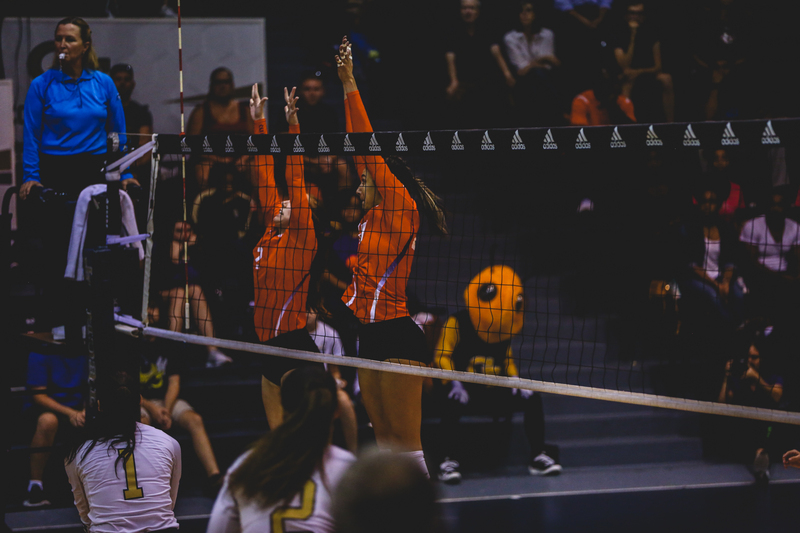 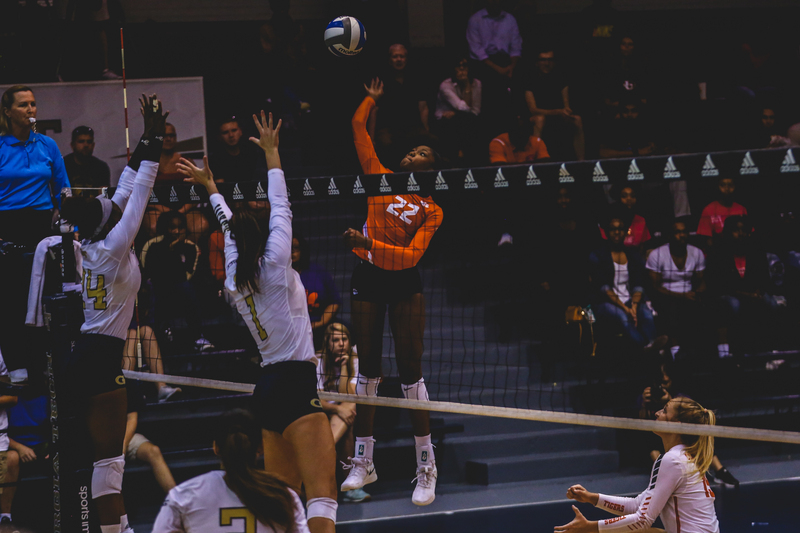 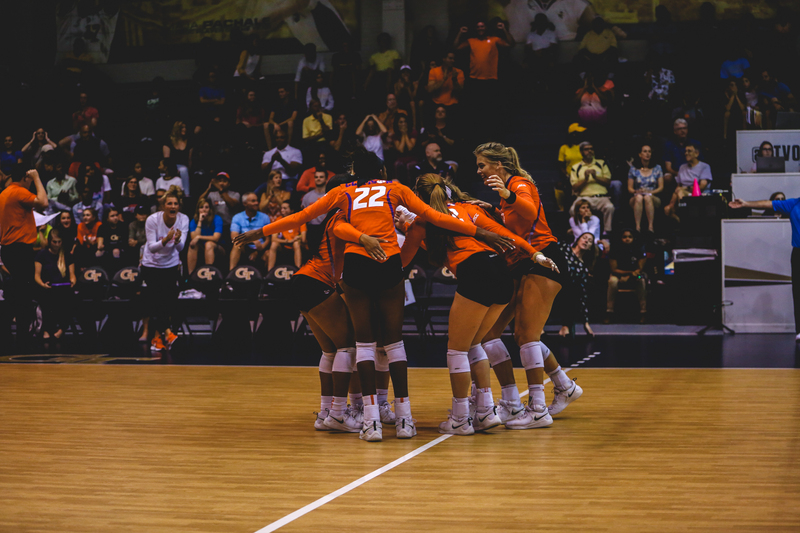 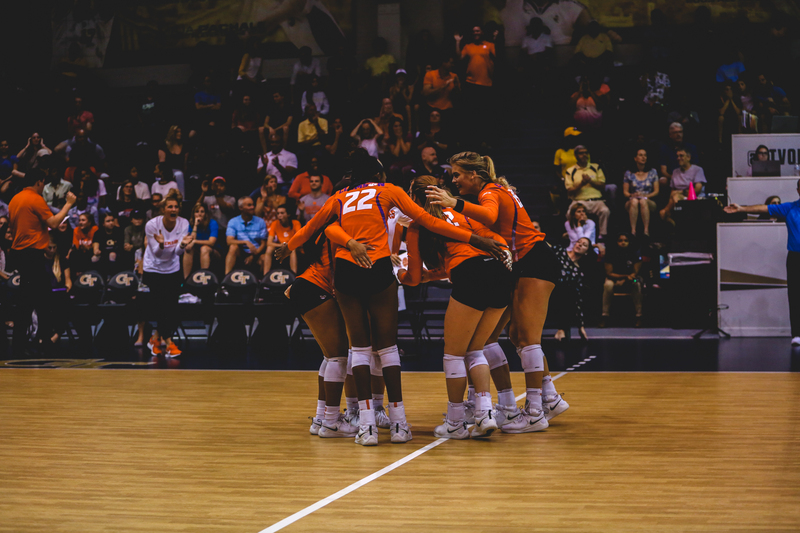 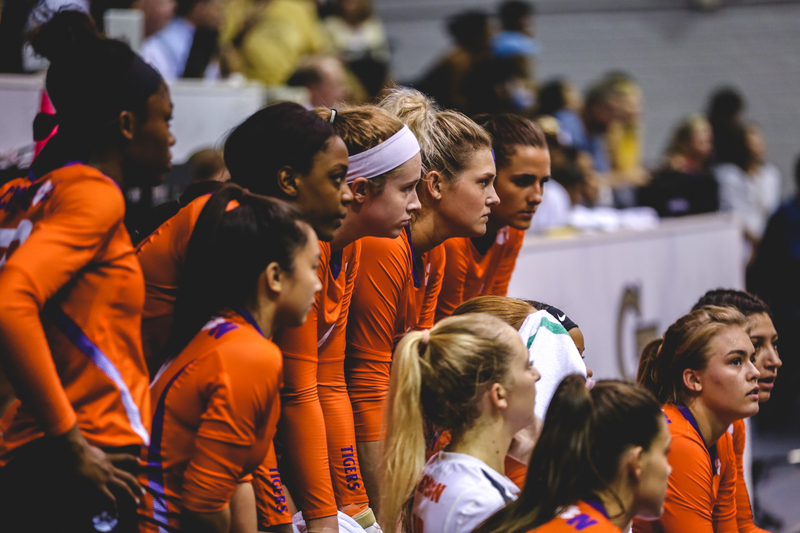 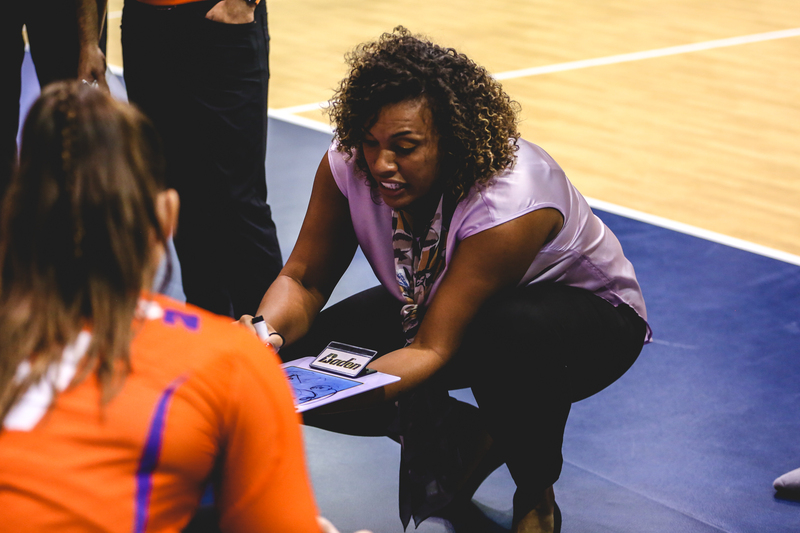 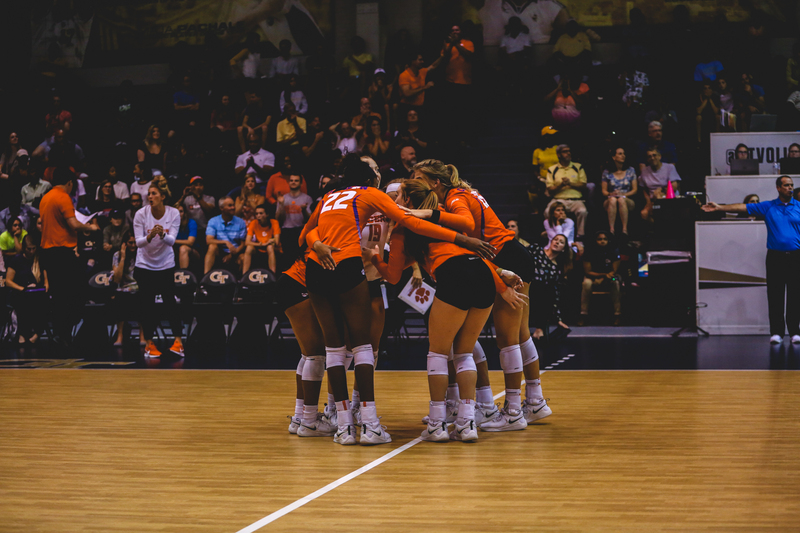 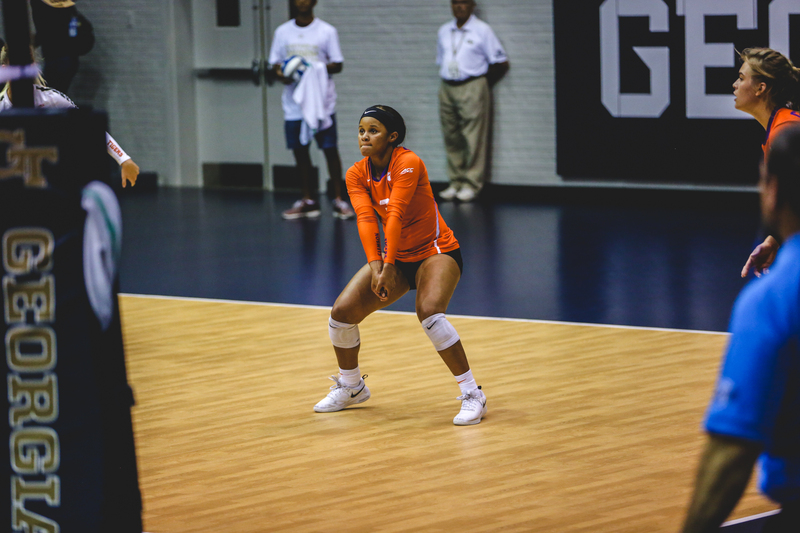 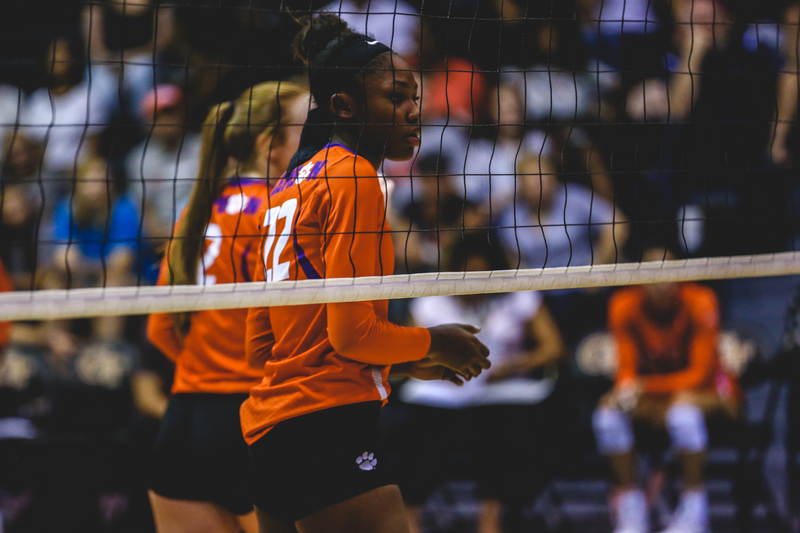 Clemson edged the Yellow Jackets, 26-24, in set No. 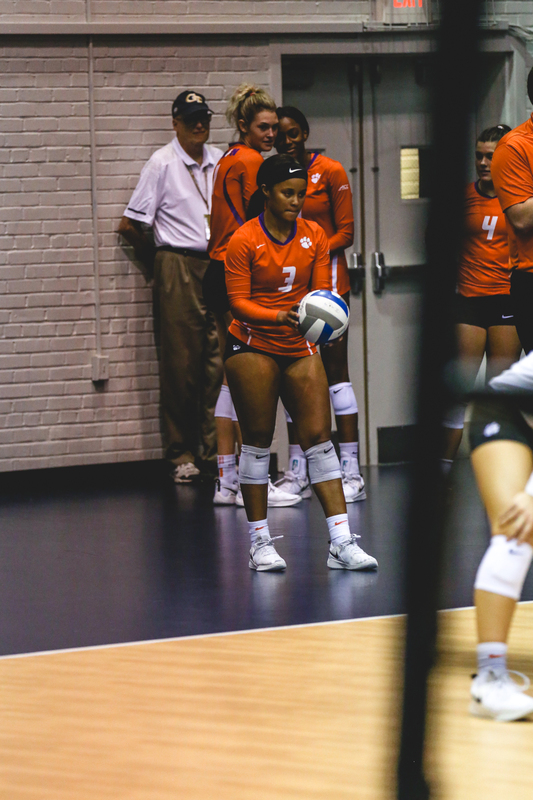 1, which saw 19 tie scores and four lead changes. 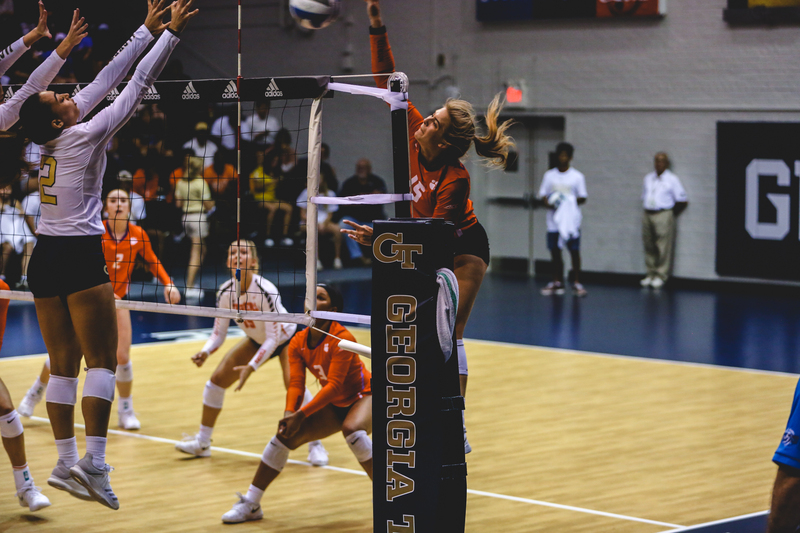 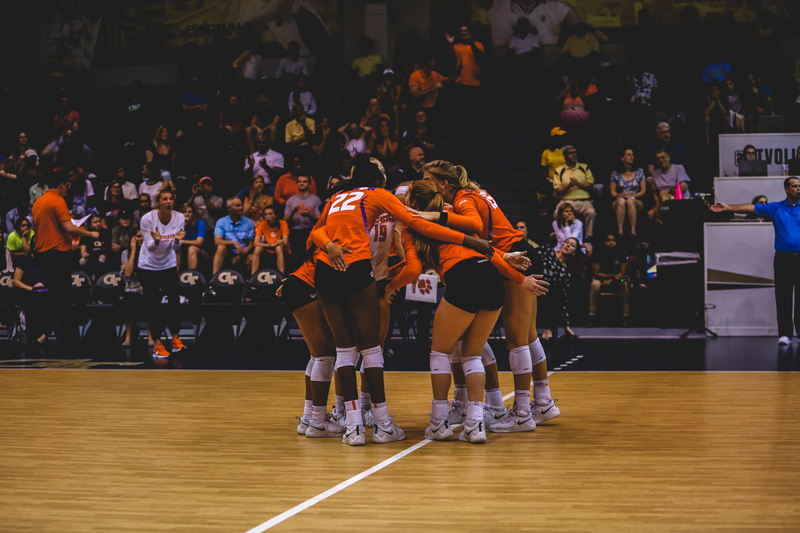 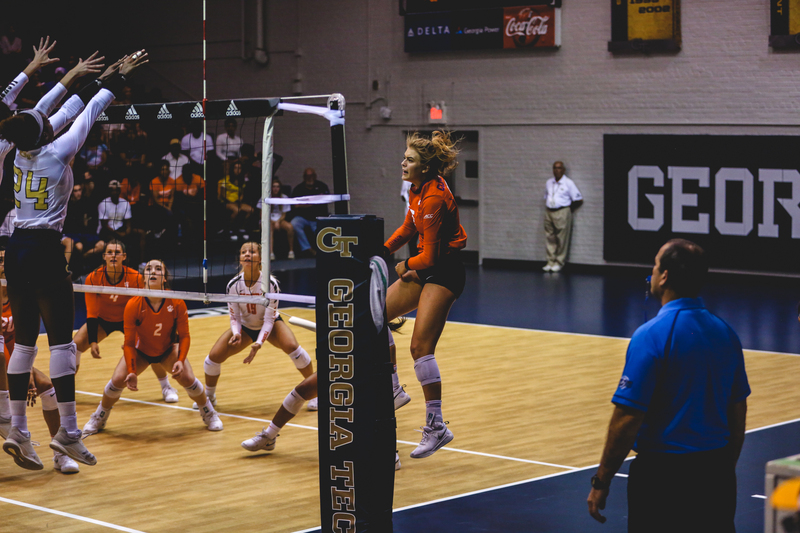 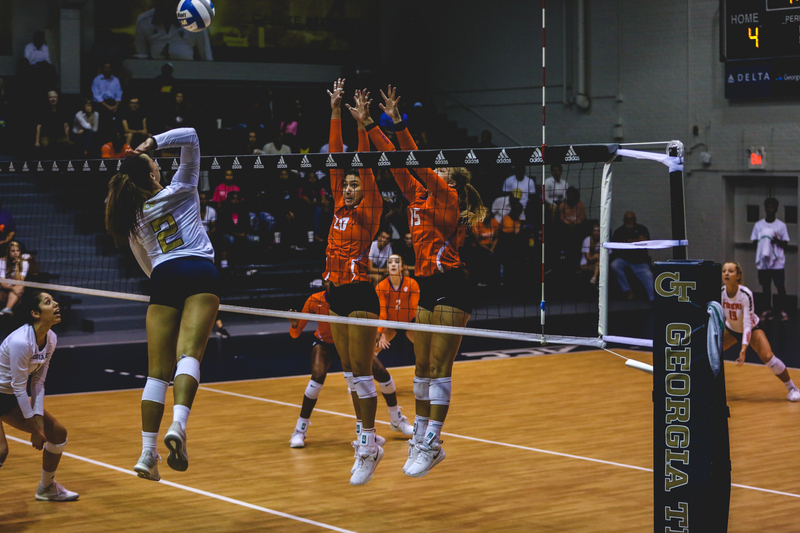 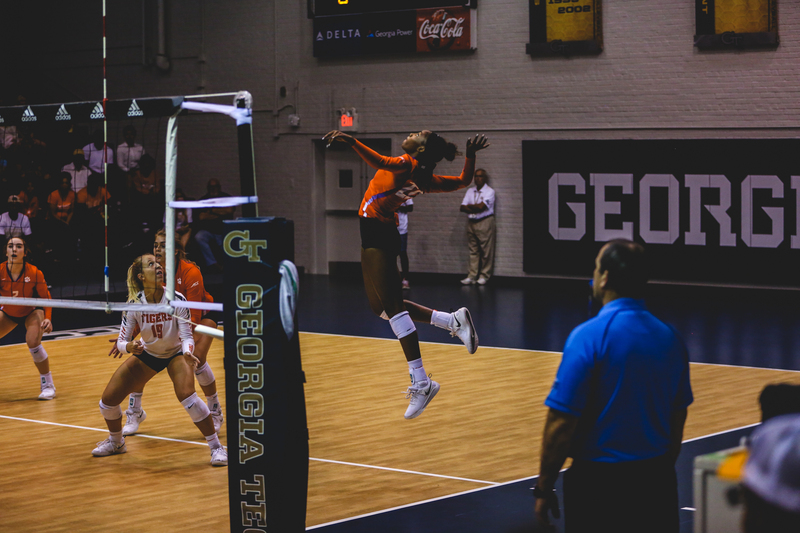 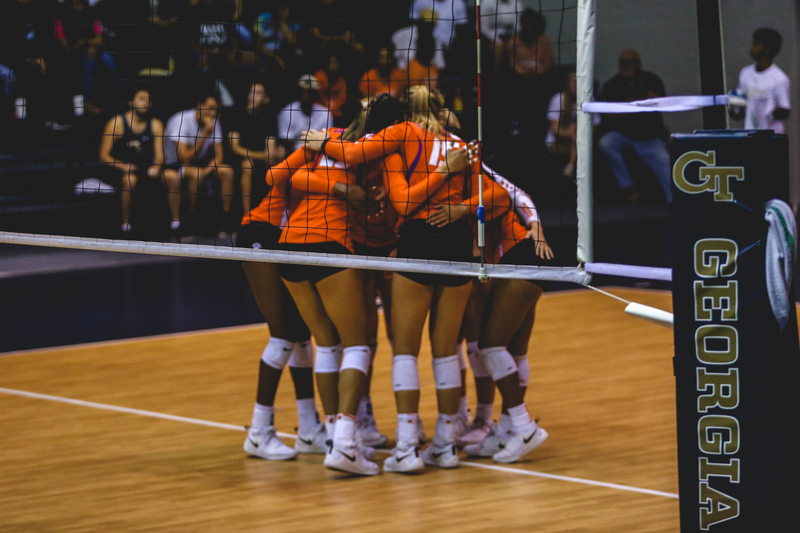 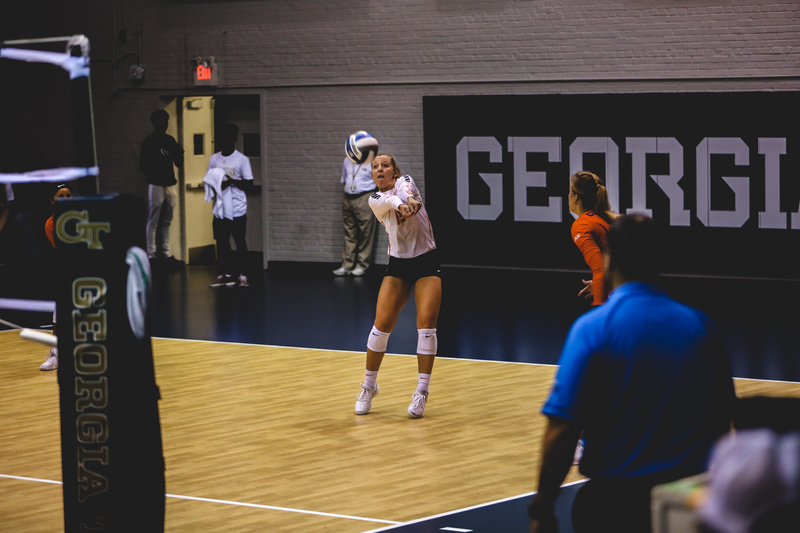 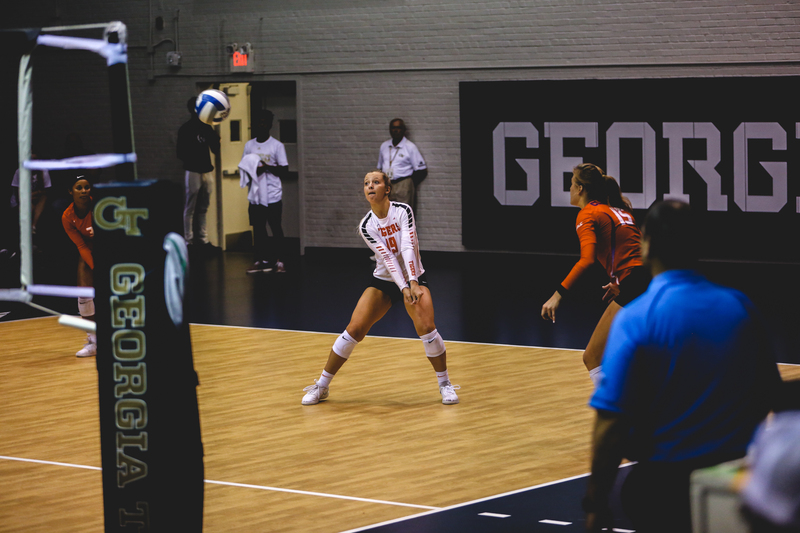 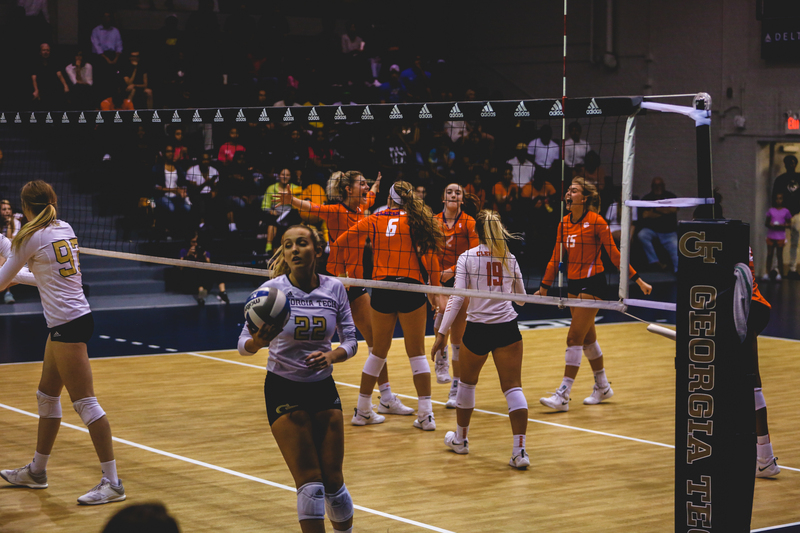 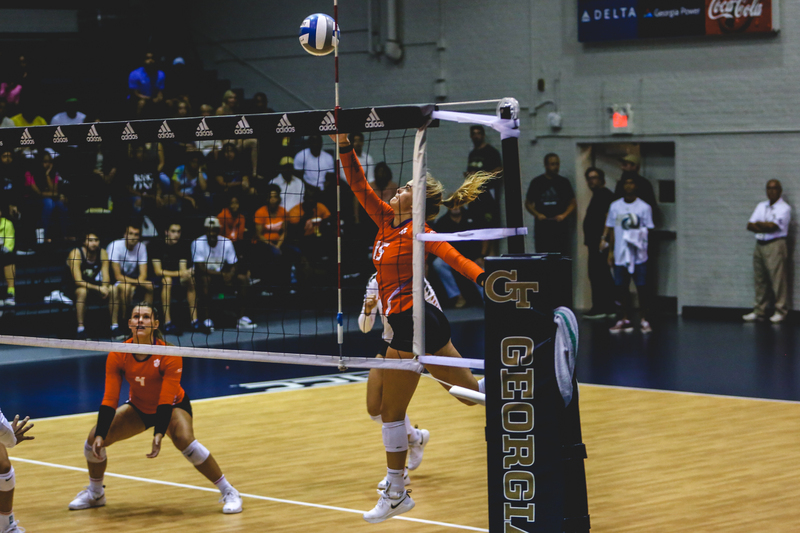 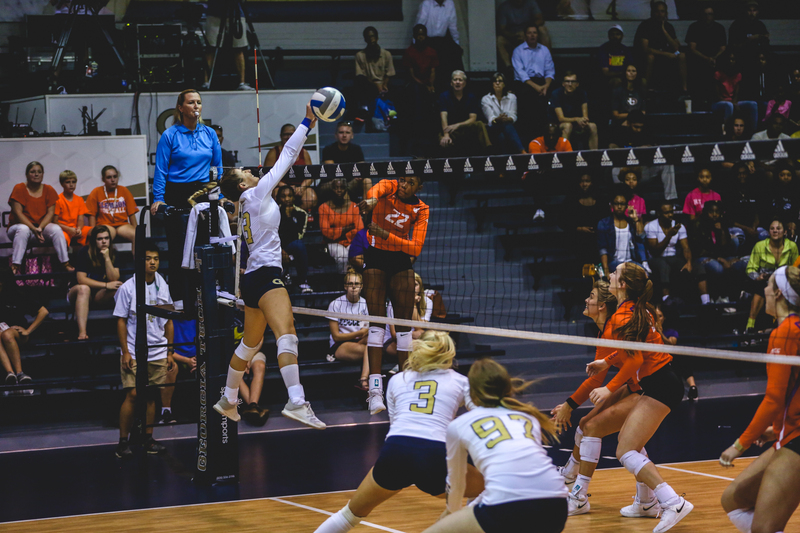 After Georgia Tech tied the set, 24-24, the Tigers responded with back-to-back points after a Bailey kill followed by a GT attack error. 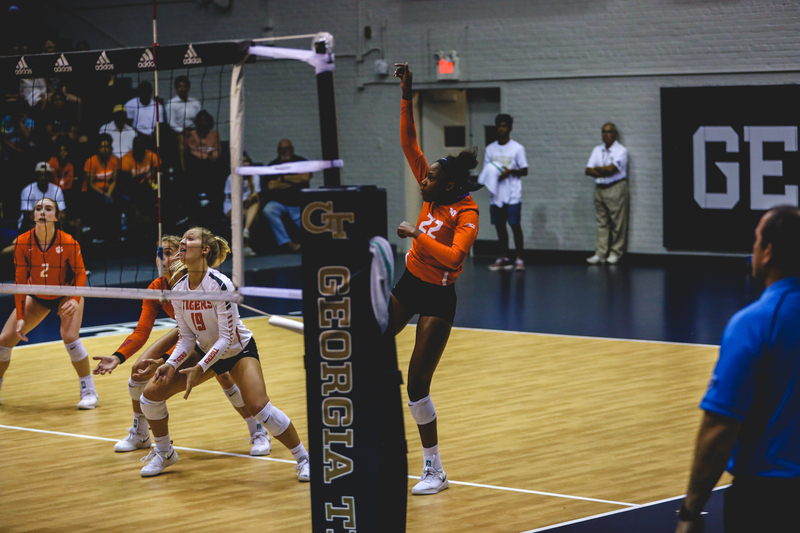 The two teams found themselves knotted at 24-24 again in the second set. 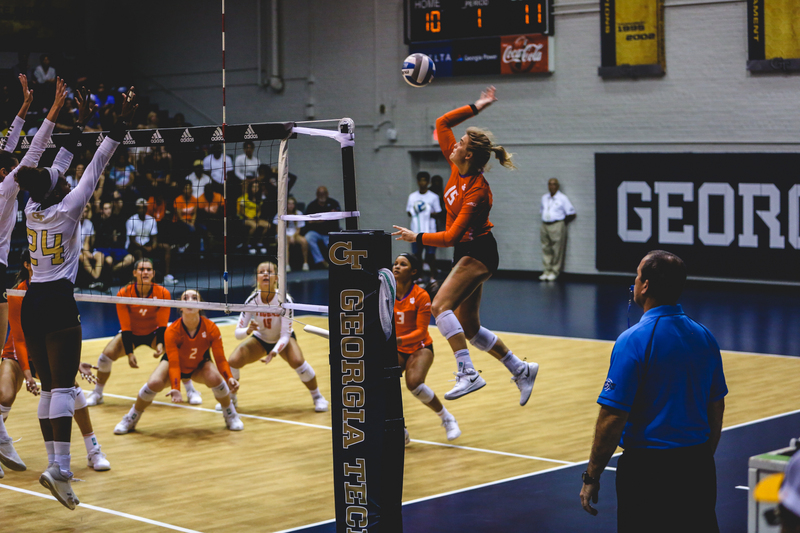 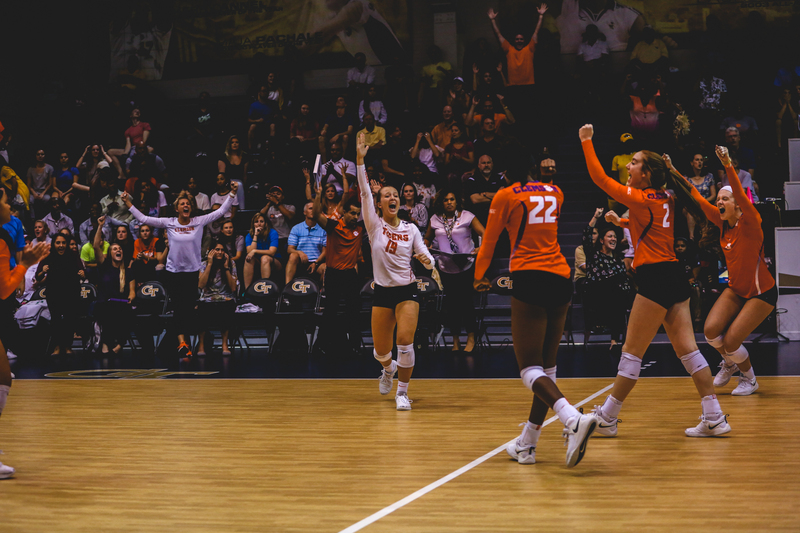 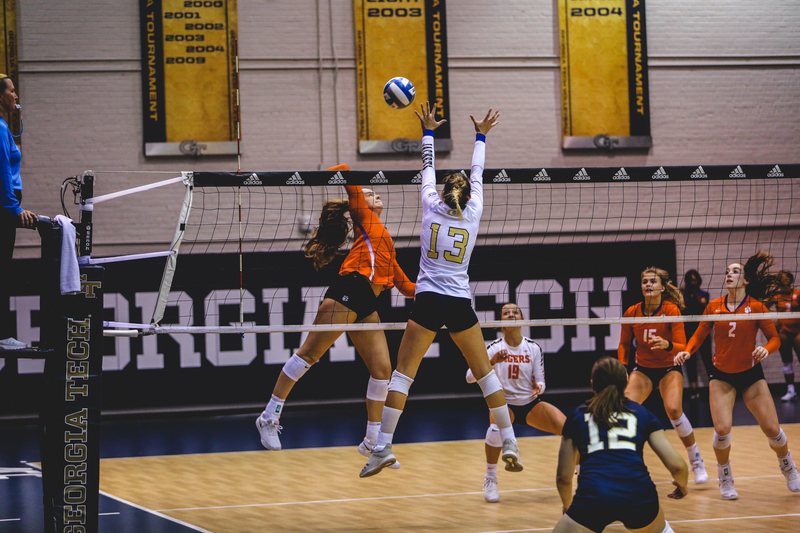 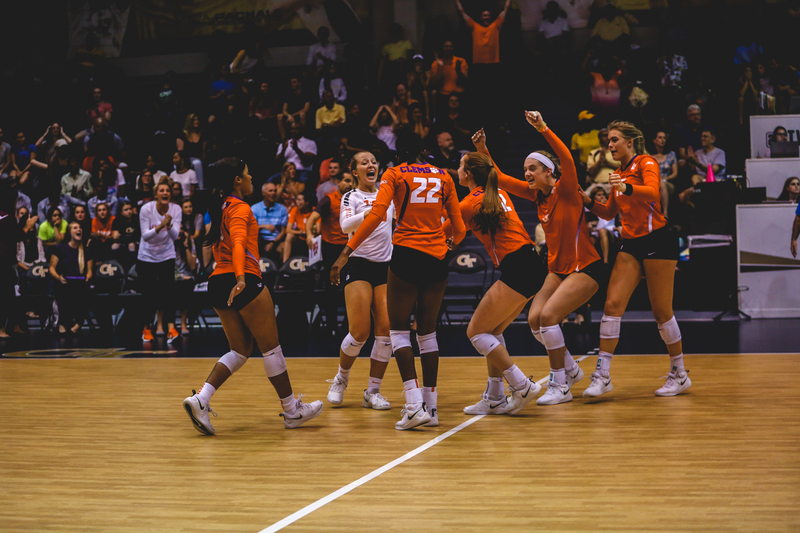 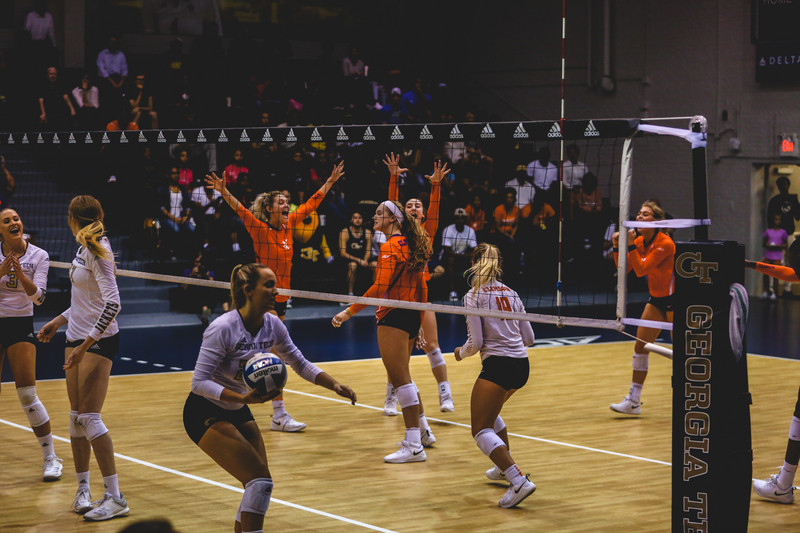 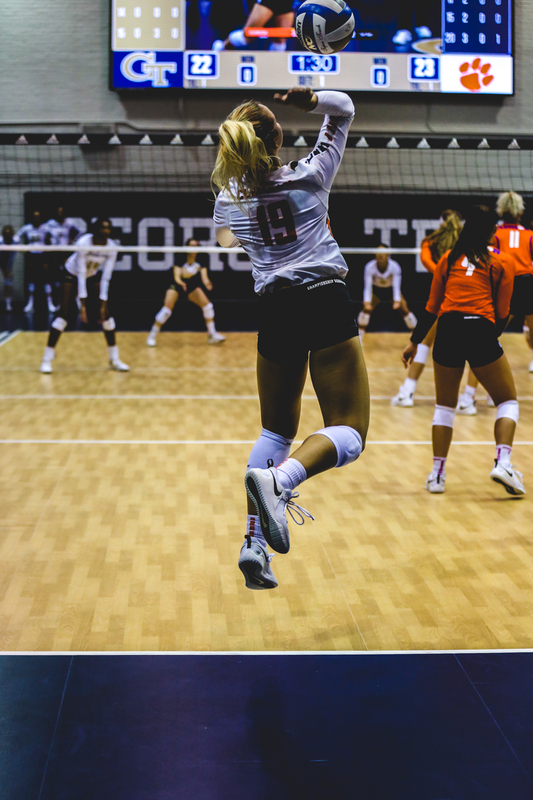 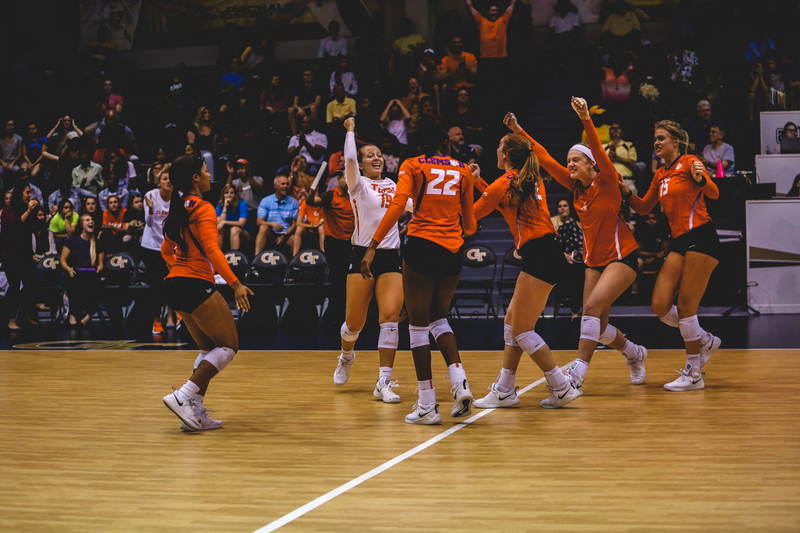 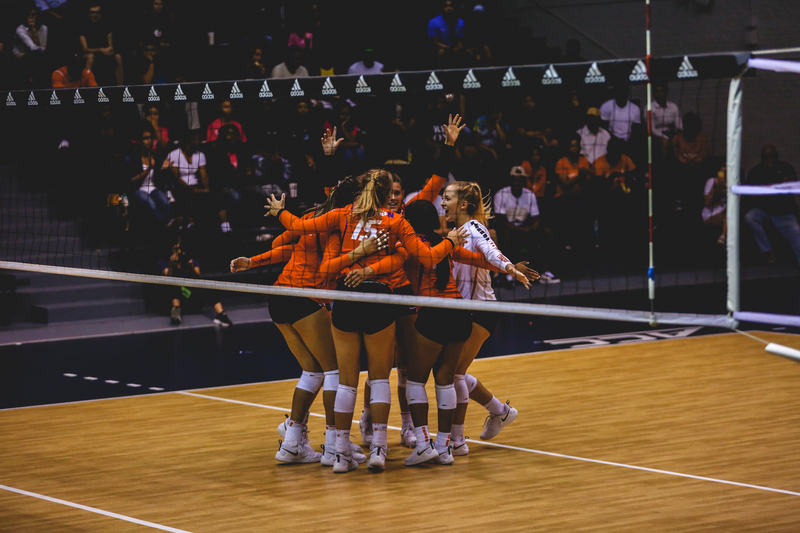 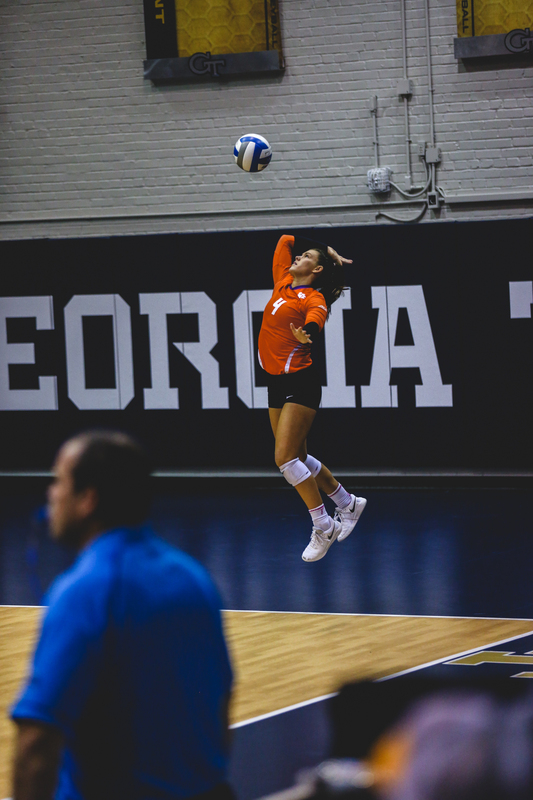 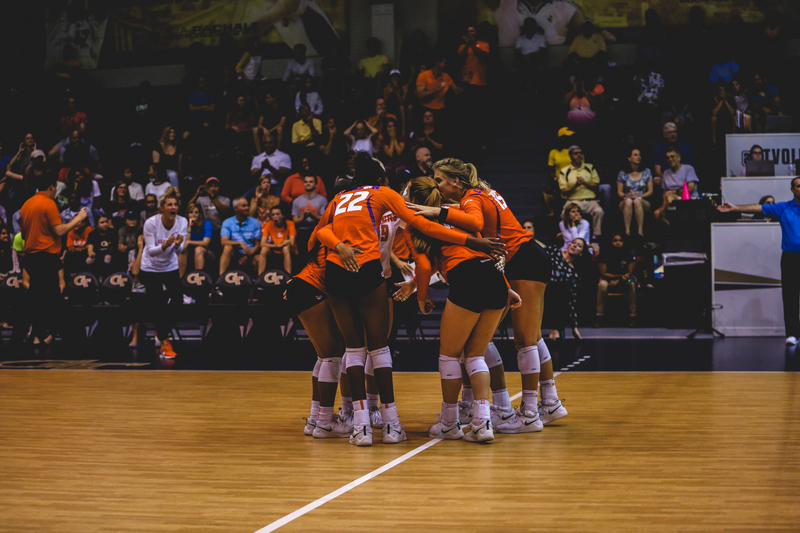 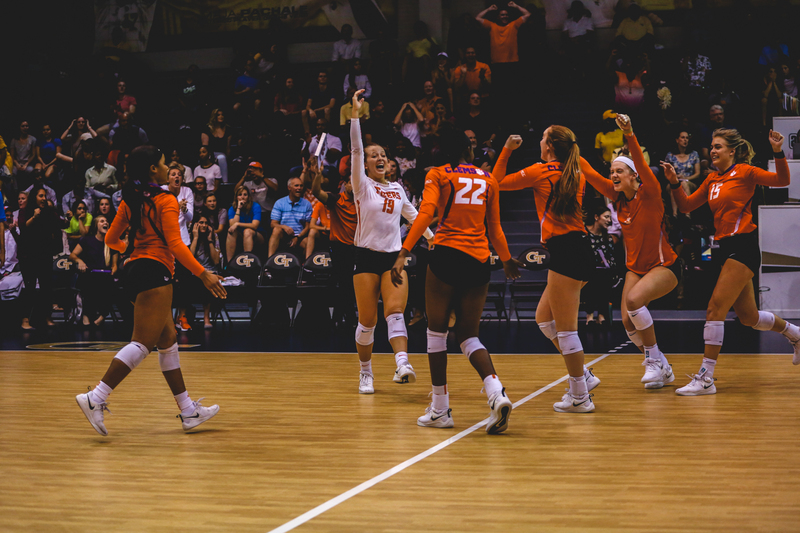 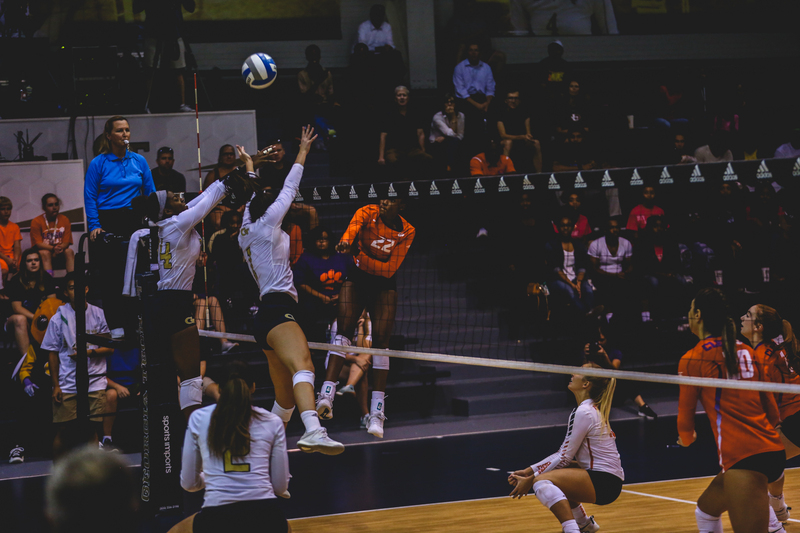 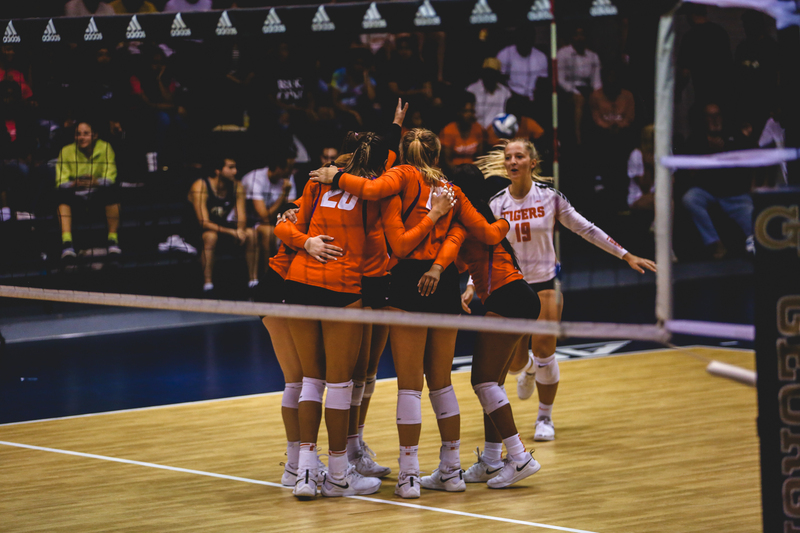 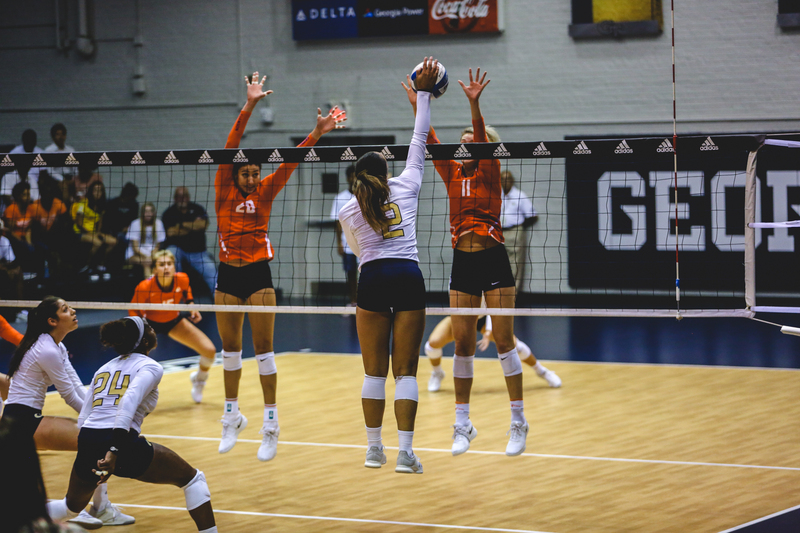 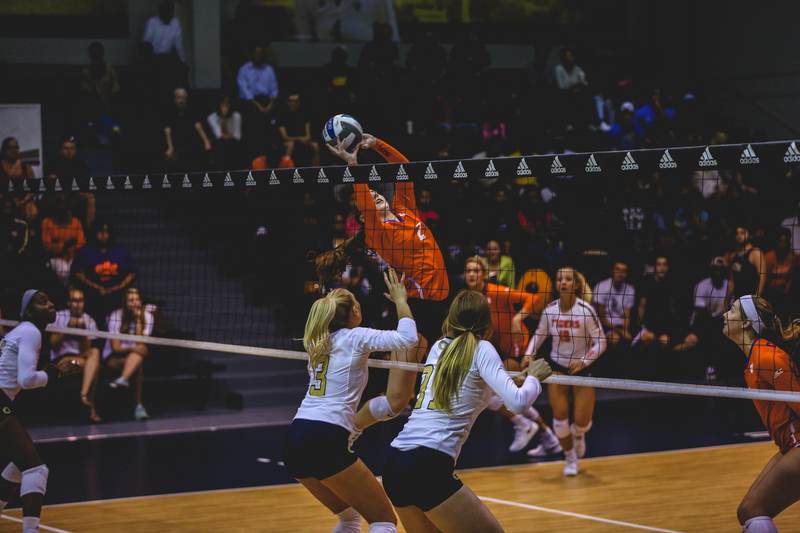 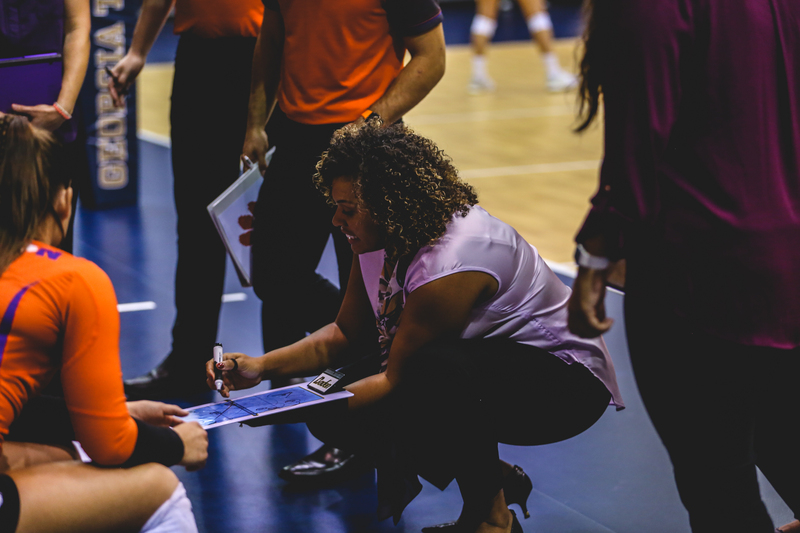 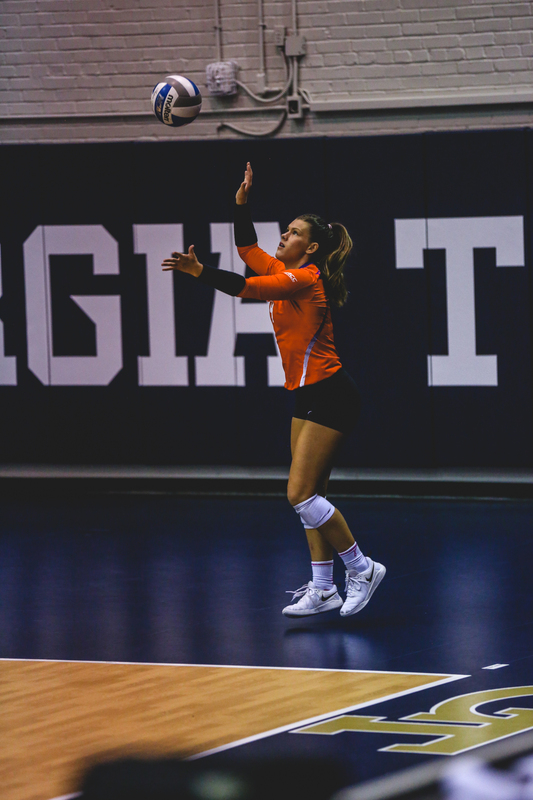 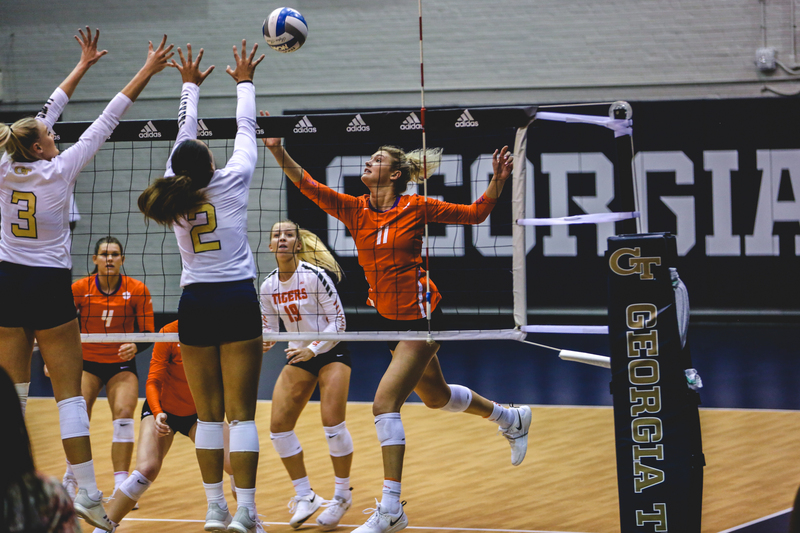 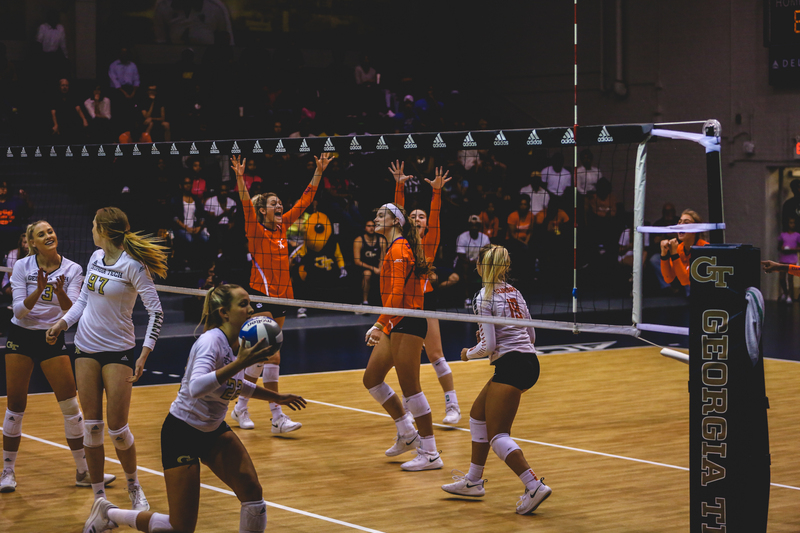 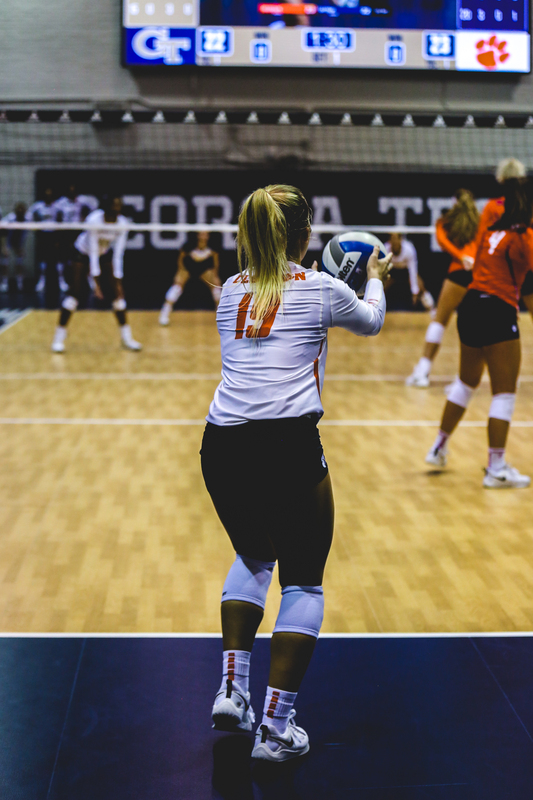 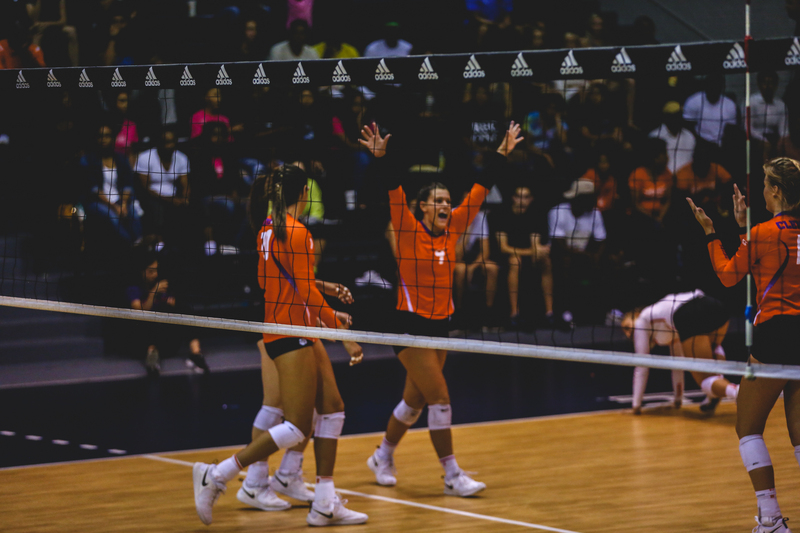 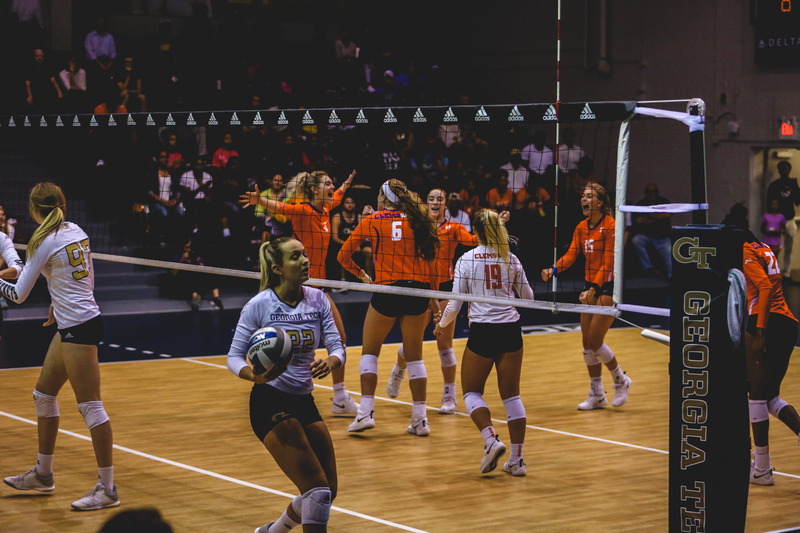 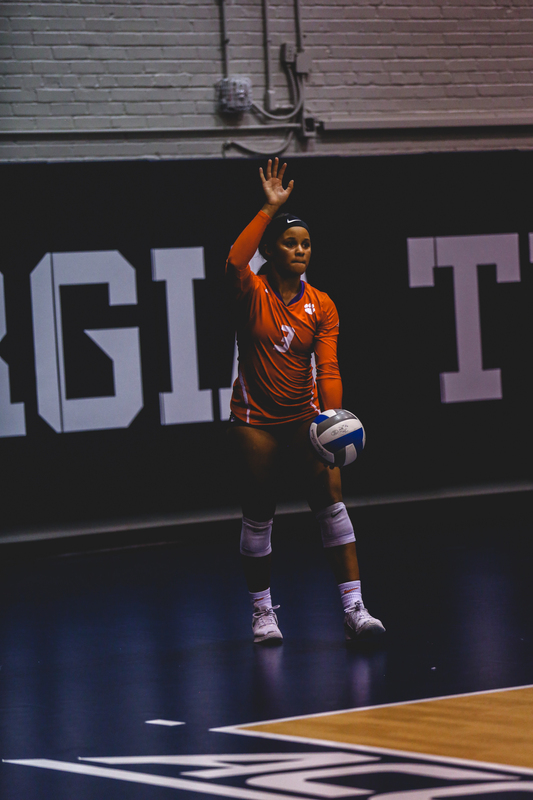 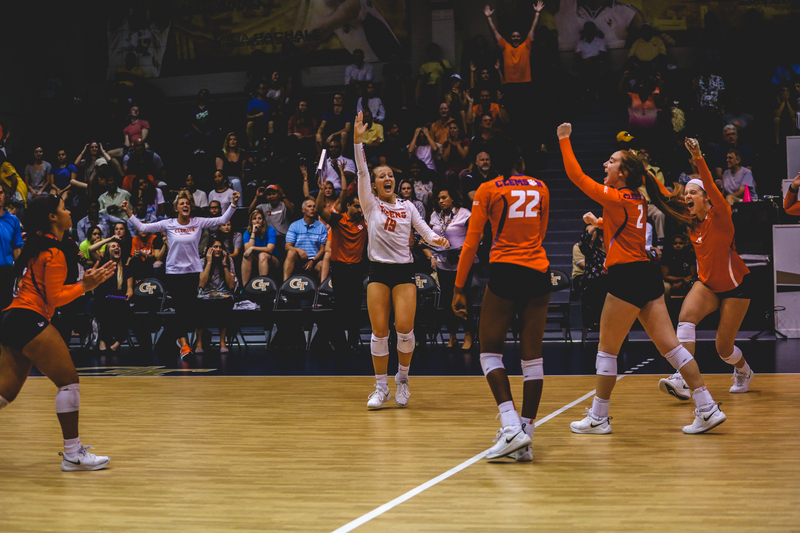 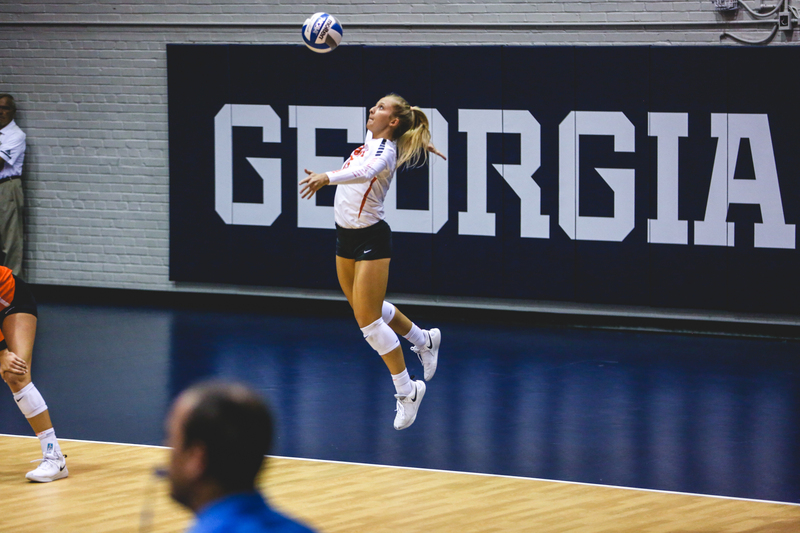 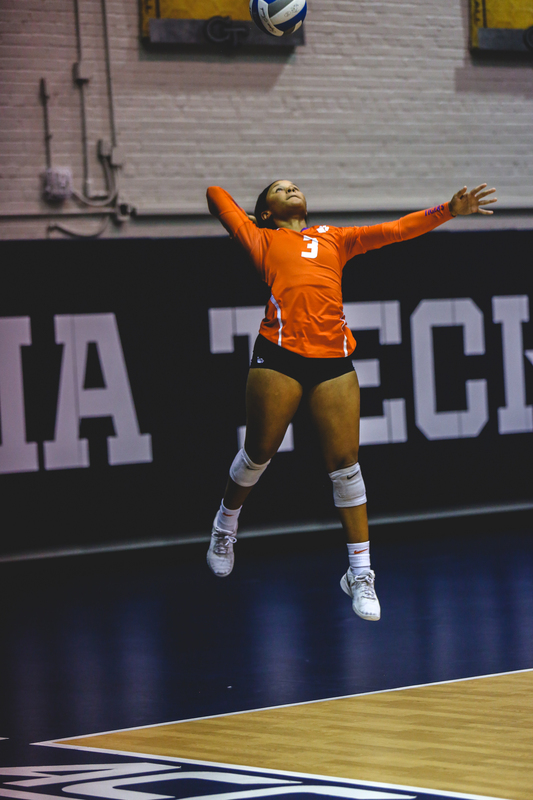 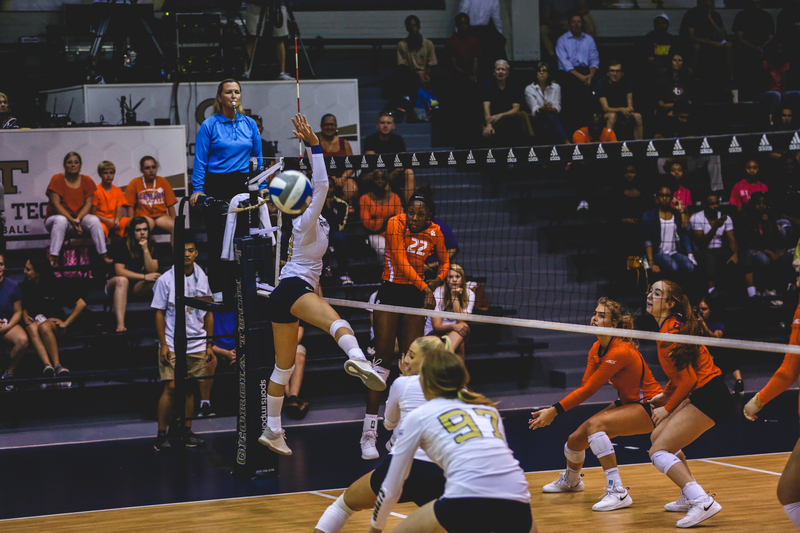 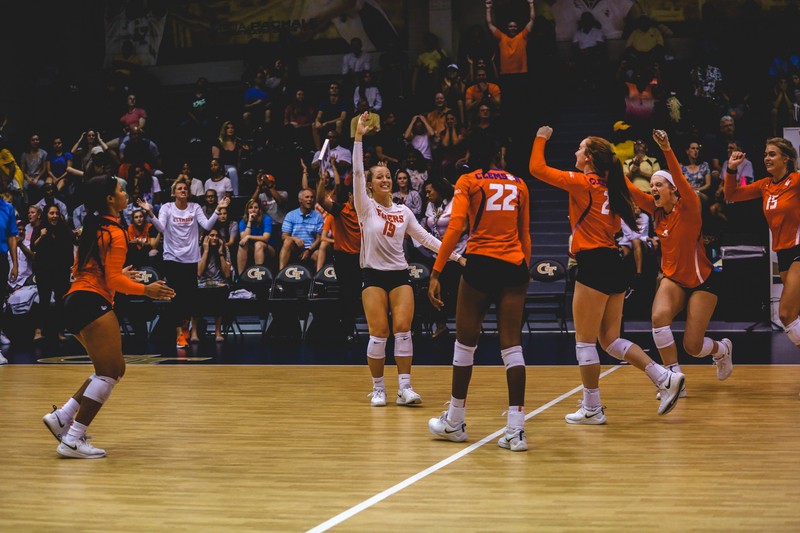 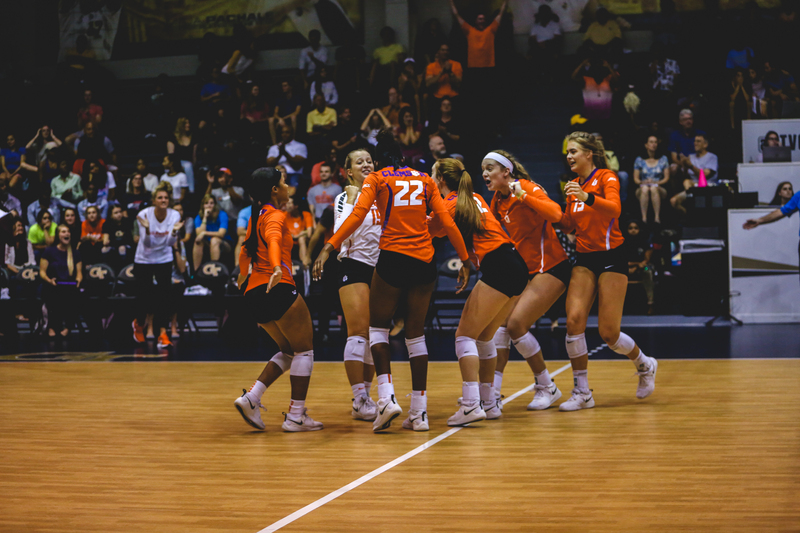 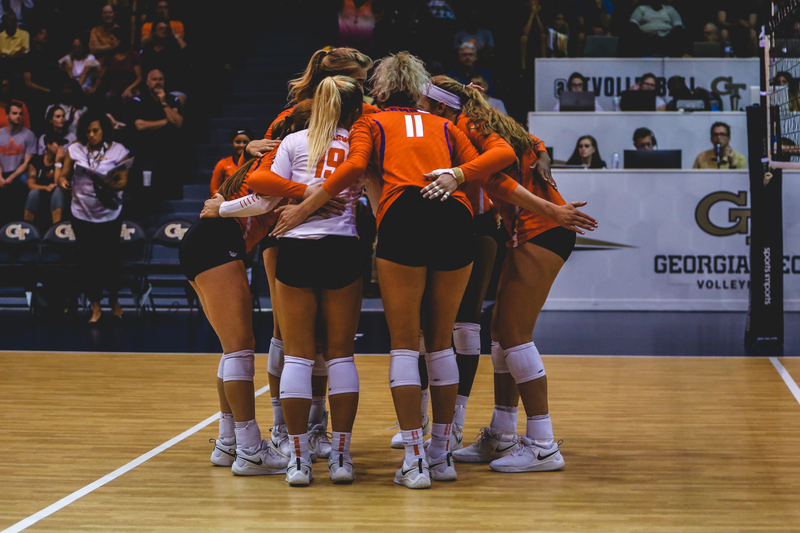 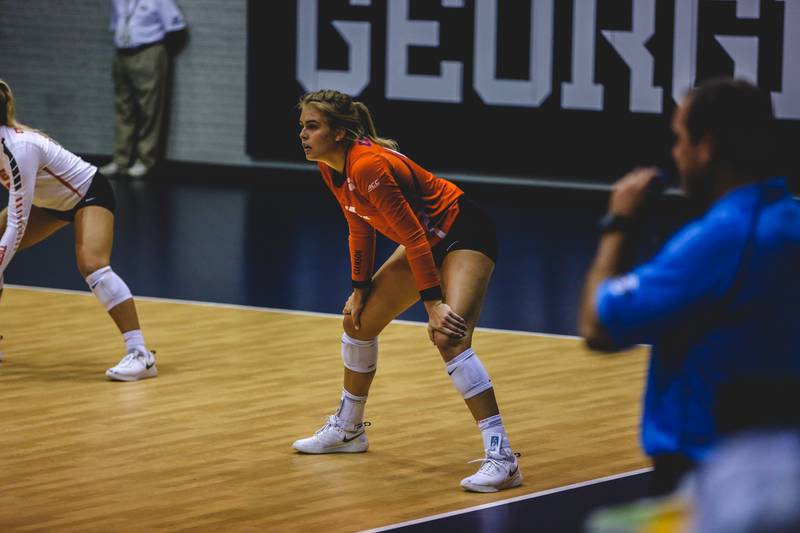 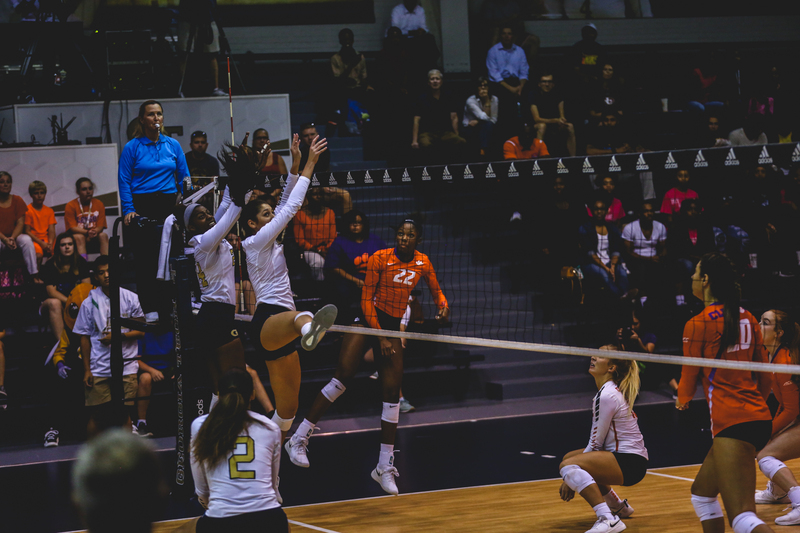 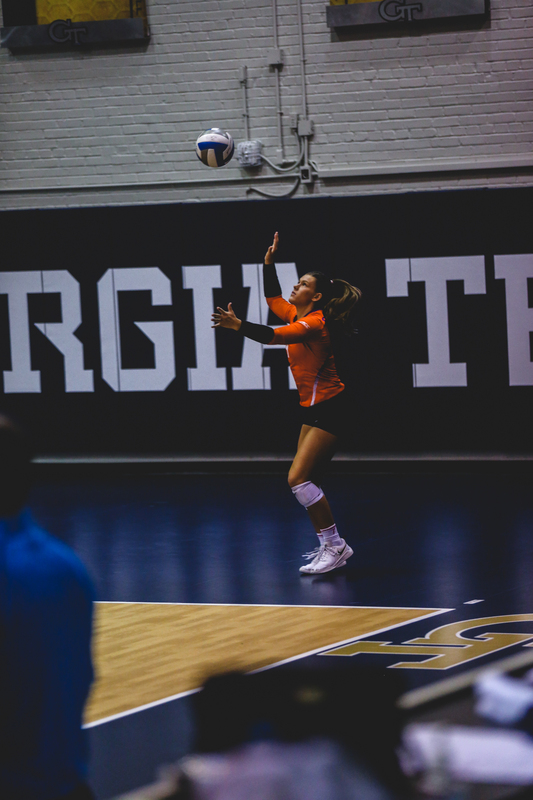 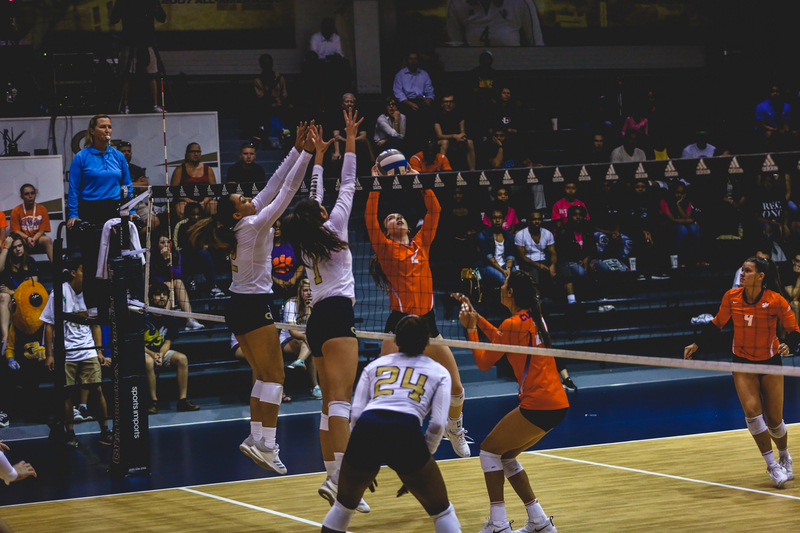 After trading points, Alberts tallied her sixth kill of the set to put the Tigers up, 26-25, but Georgia Tech closed out the next three plays to tie the match, 1-1. 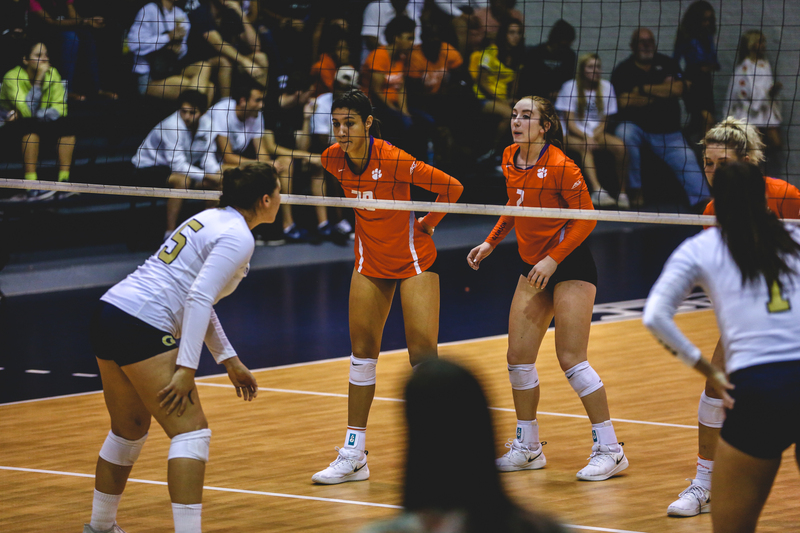 Coming out of the break, the Yellow Jackets came out firing, grasping a 9-4 lead early in the third, but Clemson would eventually tie the set, 10-10. 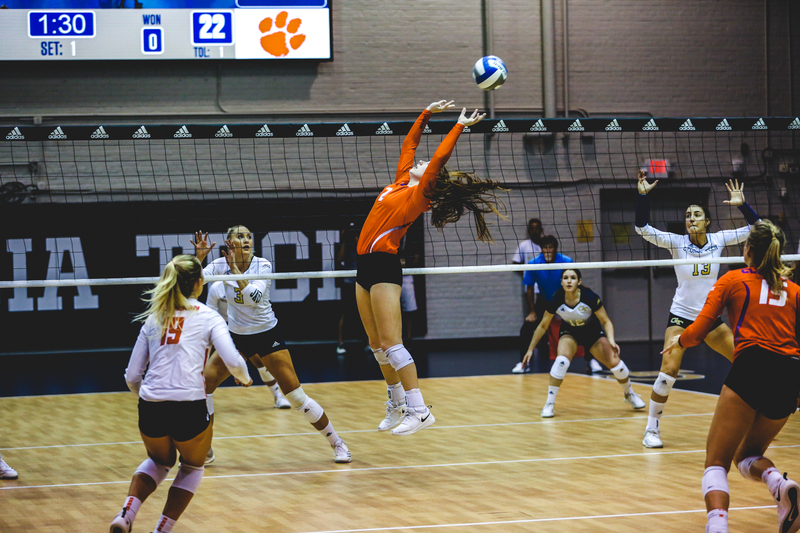 Tied at 17-17, the Tigers registered eight unanswered points to close out the set, 25-17, taking a 2-1 lead in the process. 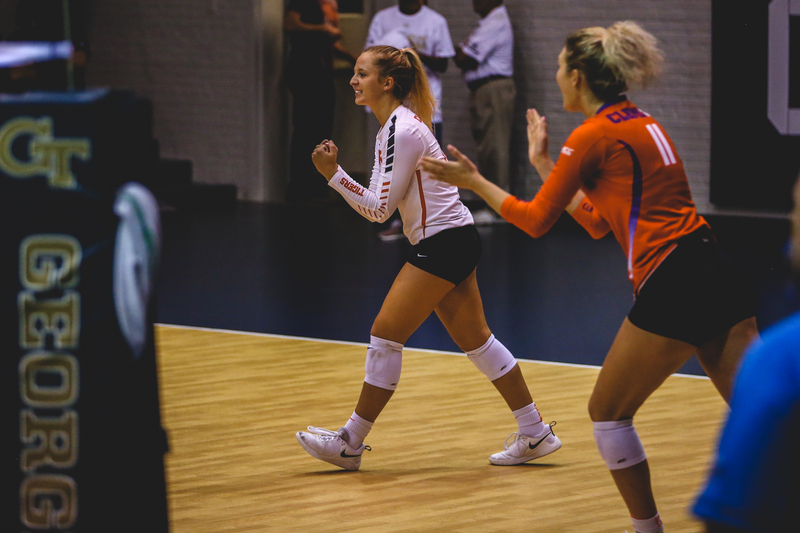 From there, Clemson could not sustain momentum, dropping the fourth and fifth sets, 25-12 and 15-8, respectively. 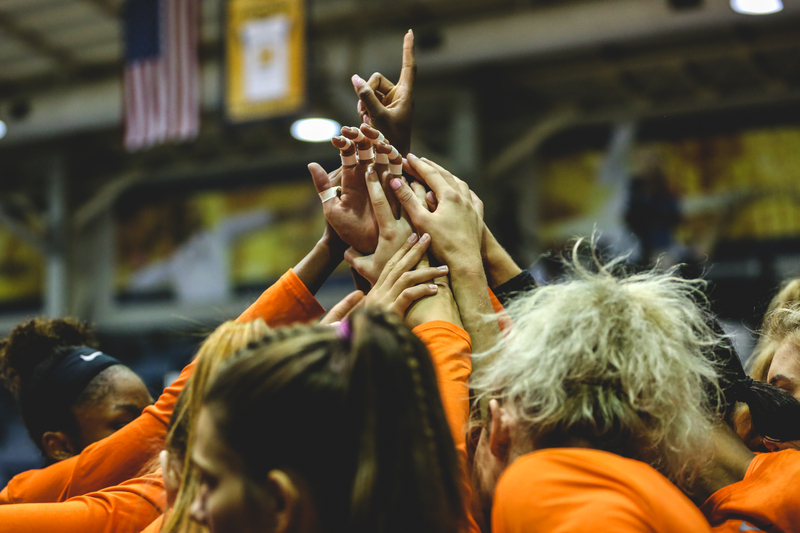 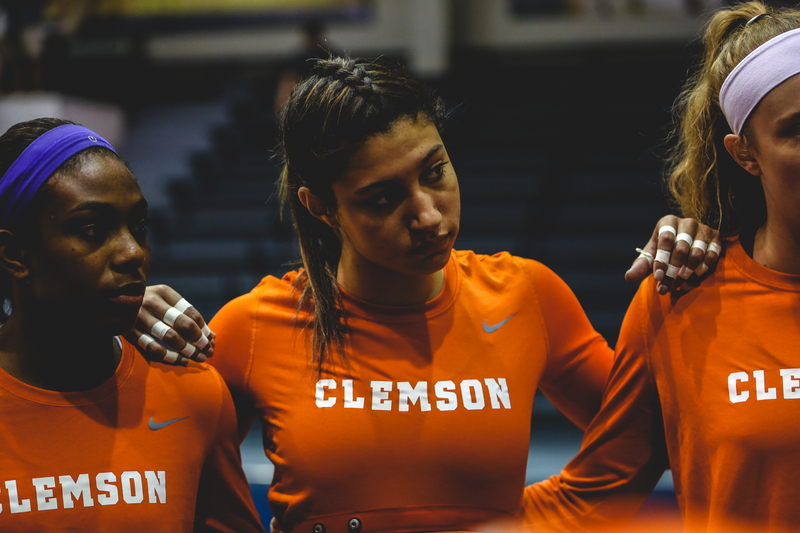 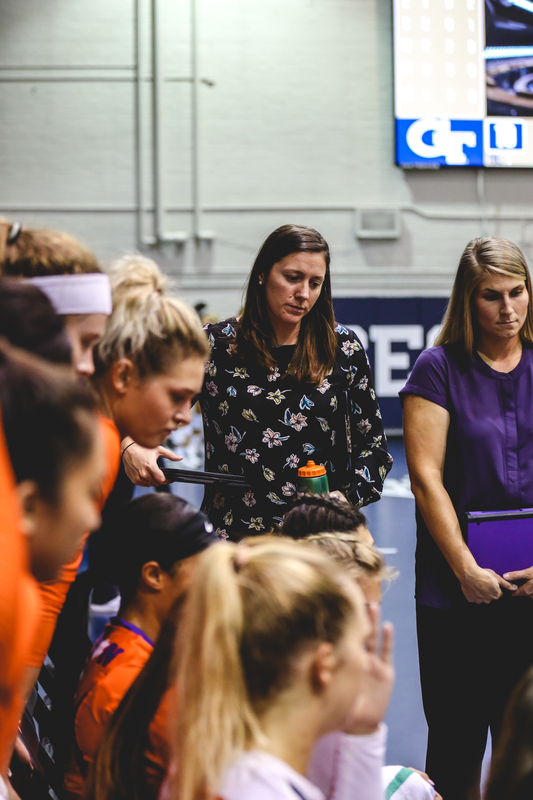 Up next, the Tigers return to Jervey Gym Oct. 7 for a Sunday showdown against Virginia Tech (11-5, 2-2 ACC), which is slated for 1 p.m. Sunday’s contest is set to stream on ACC Network Extra.